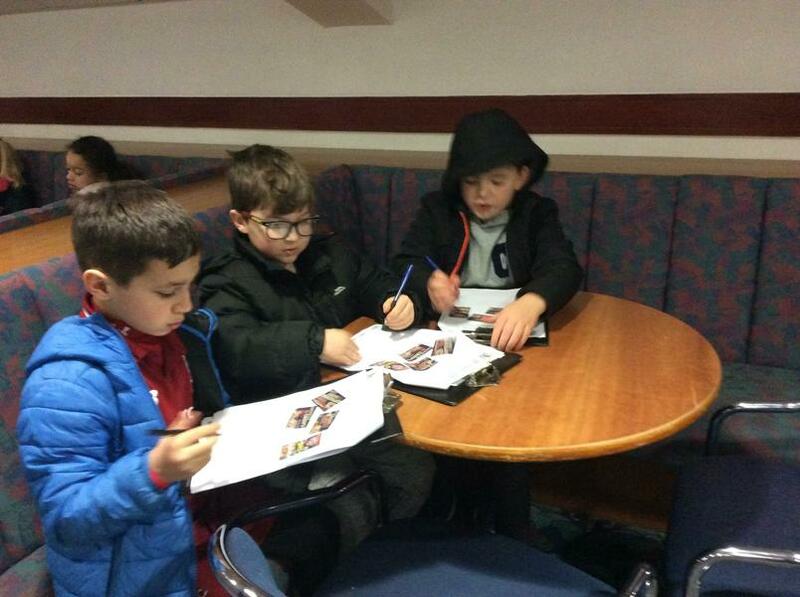 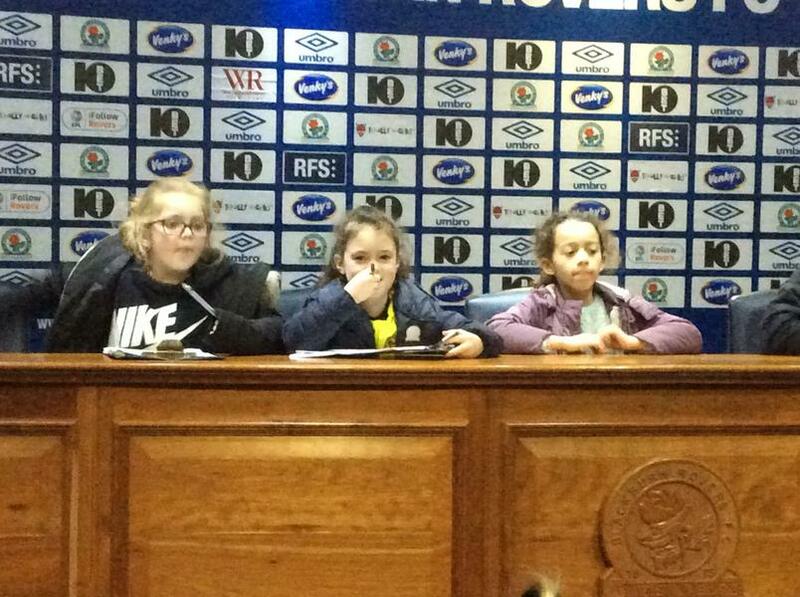 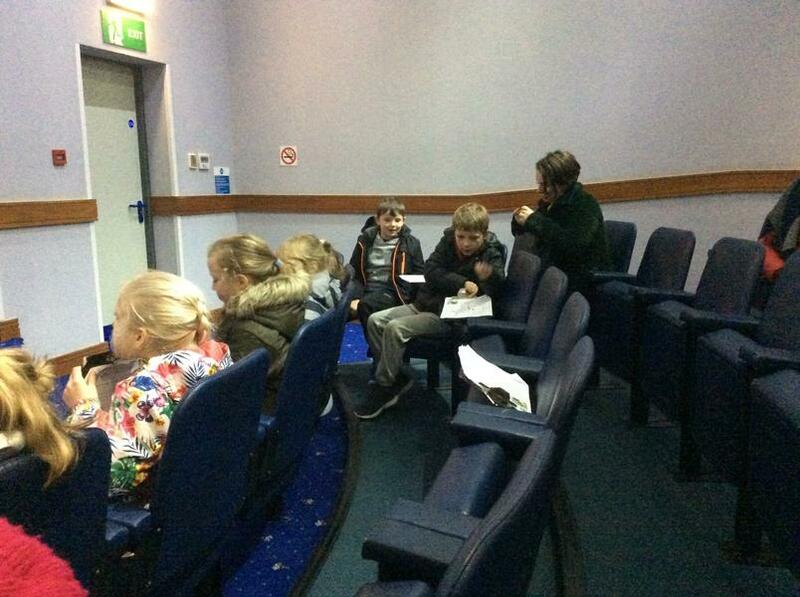 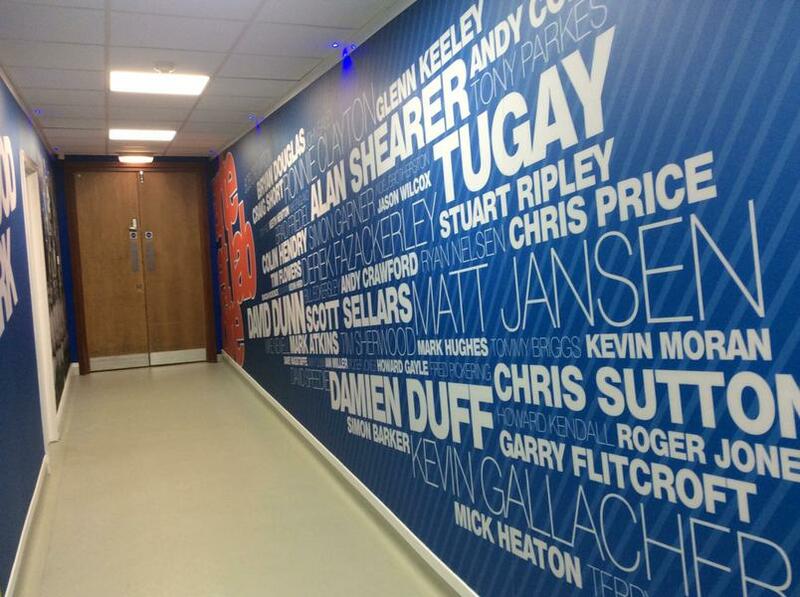 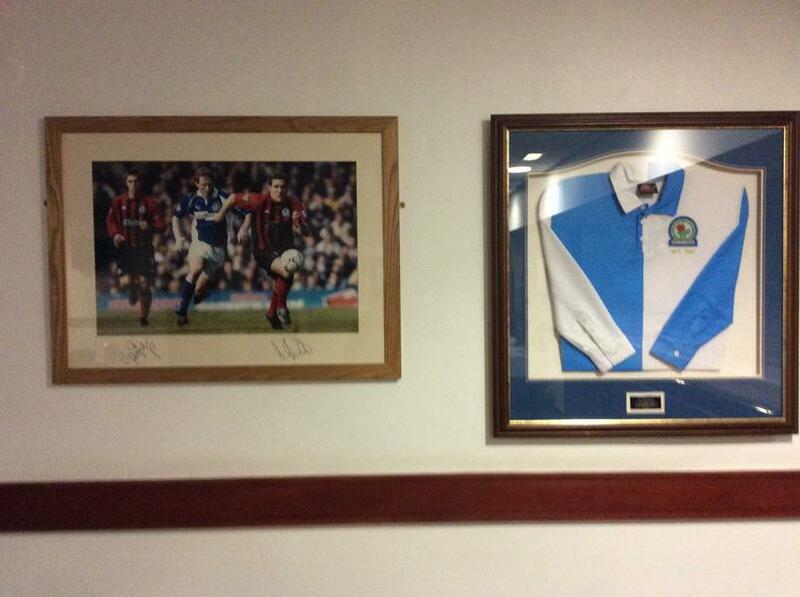 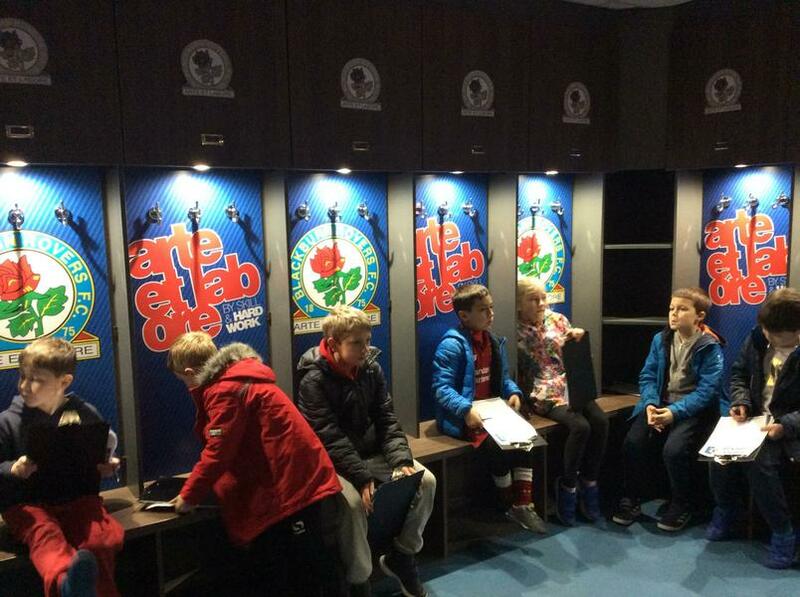 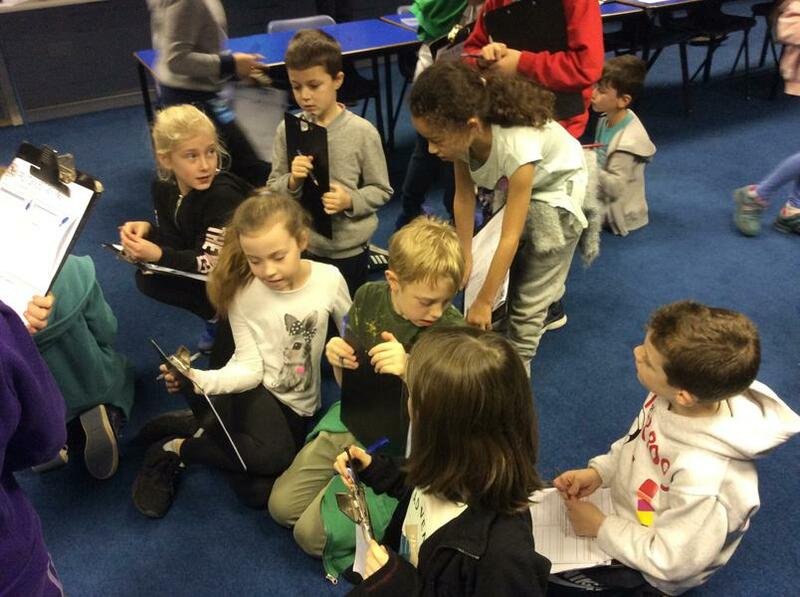 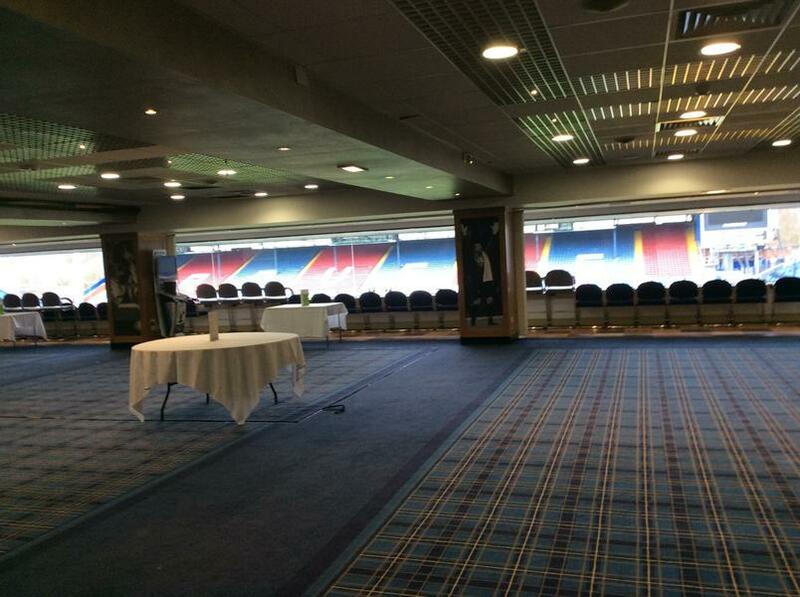 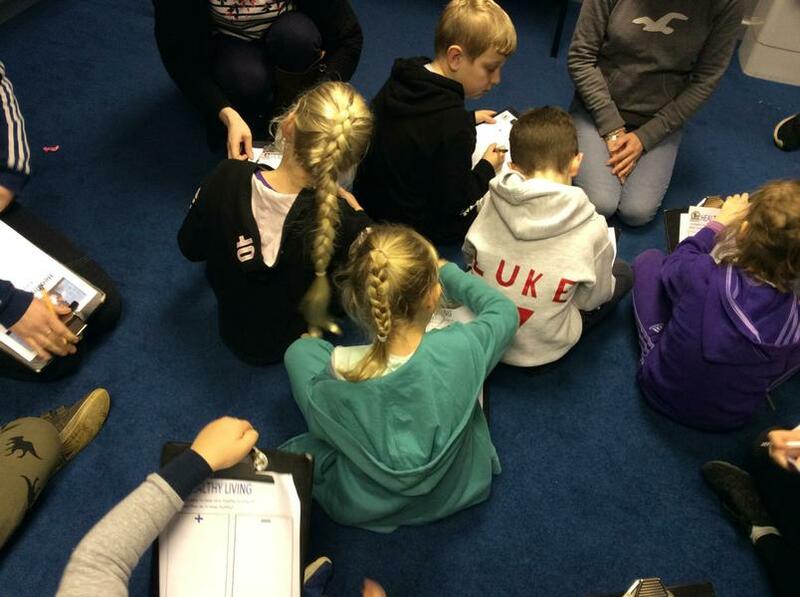 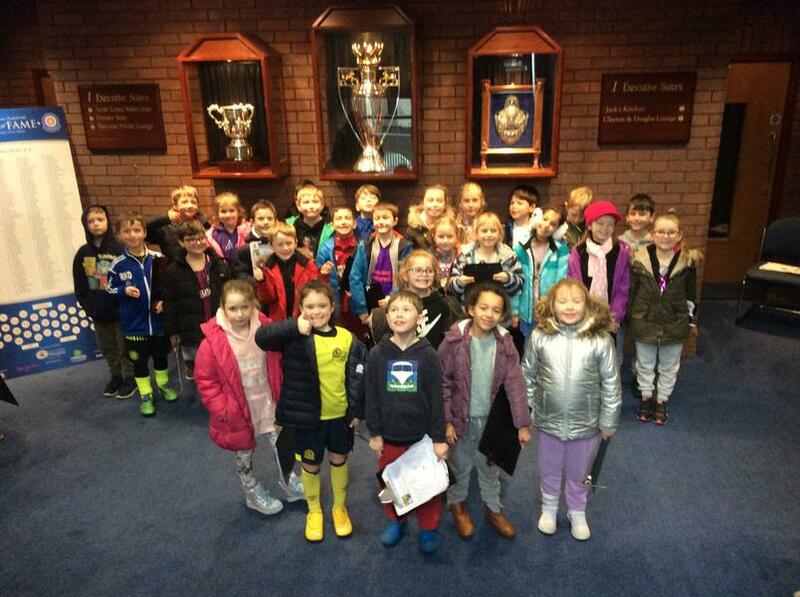 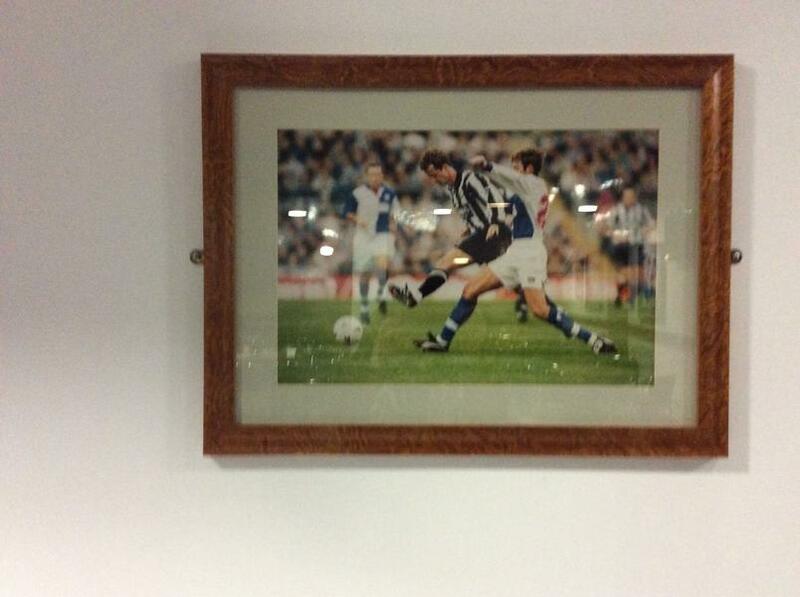 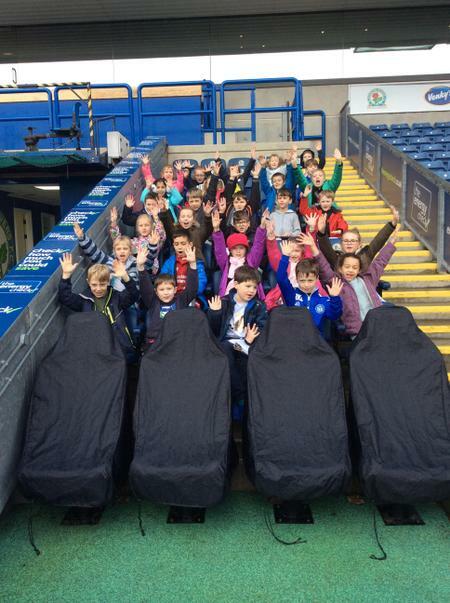 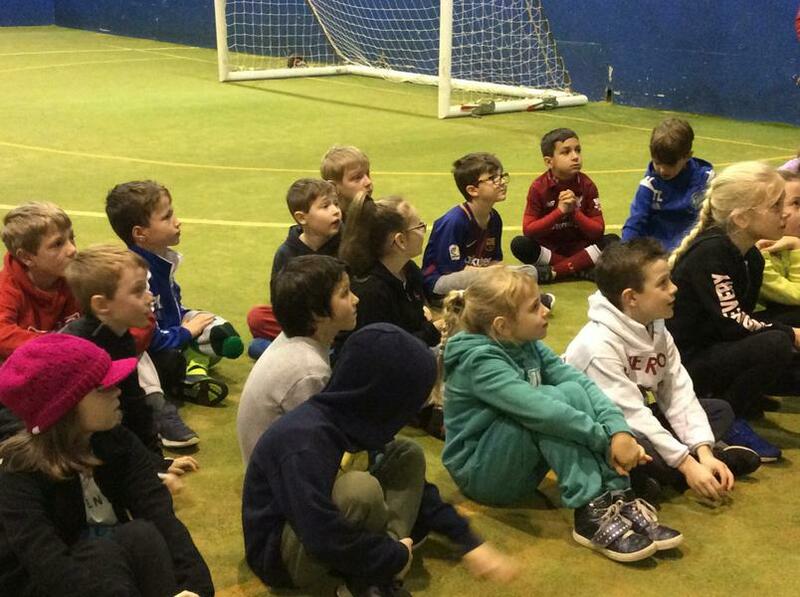 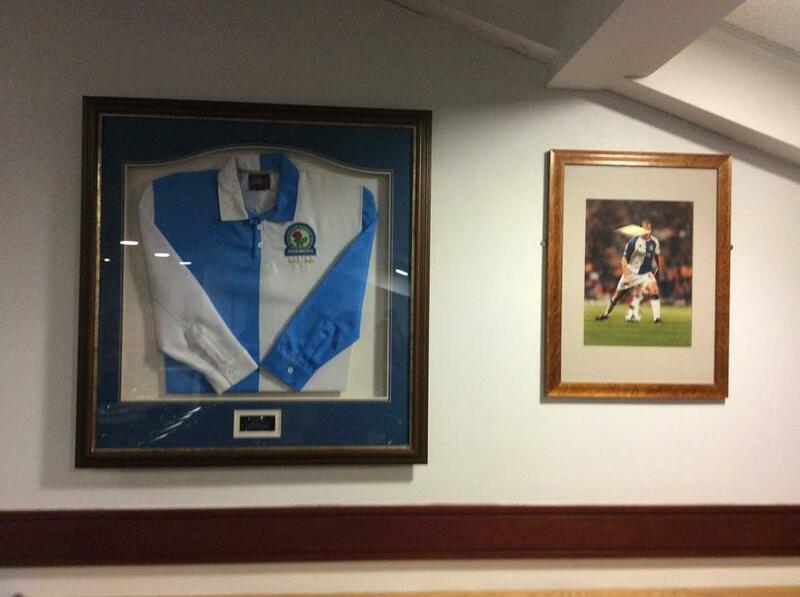 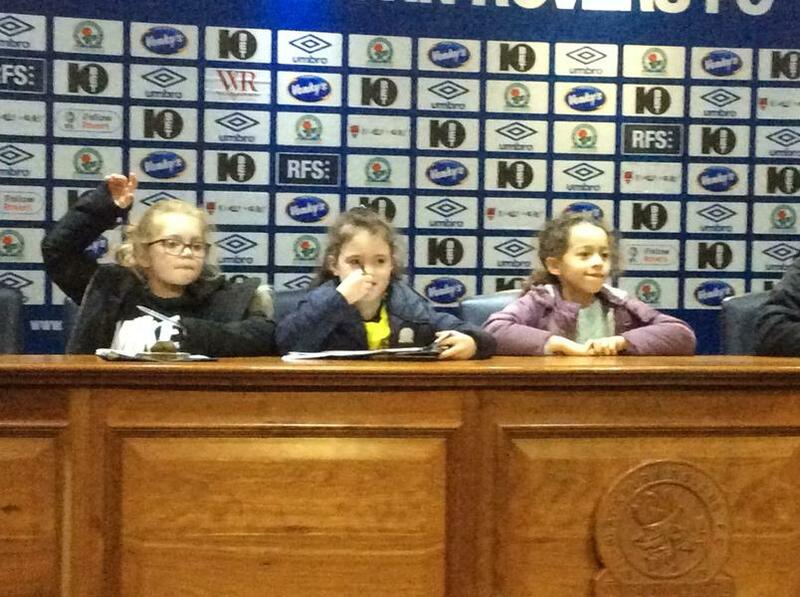 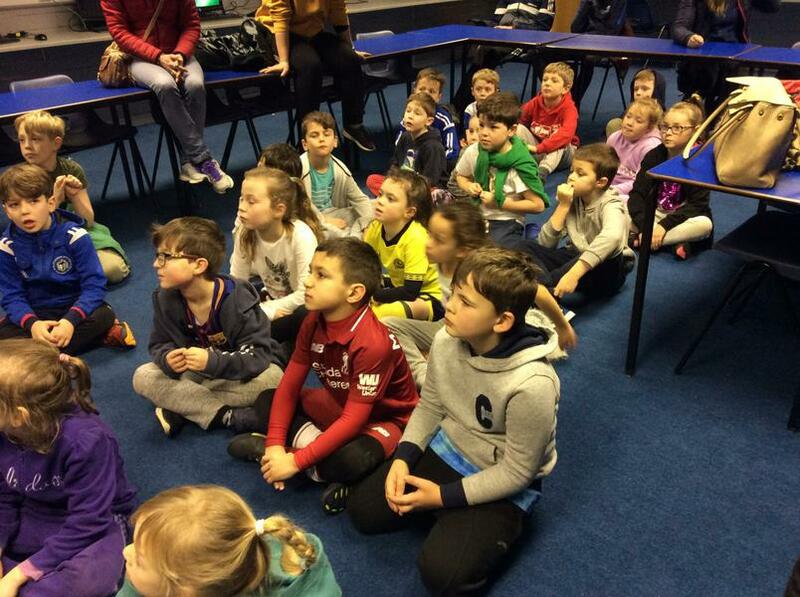 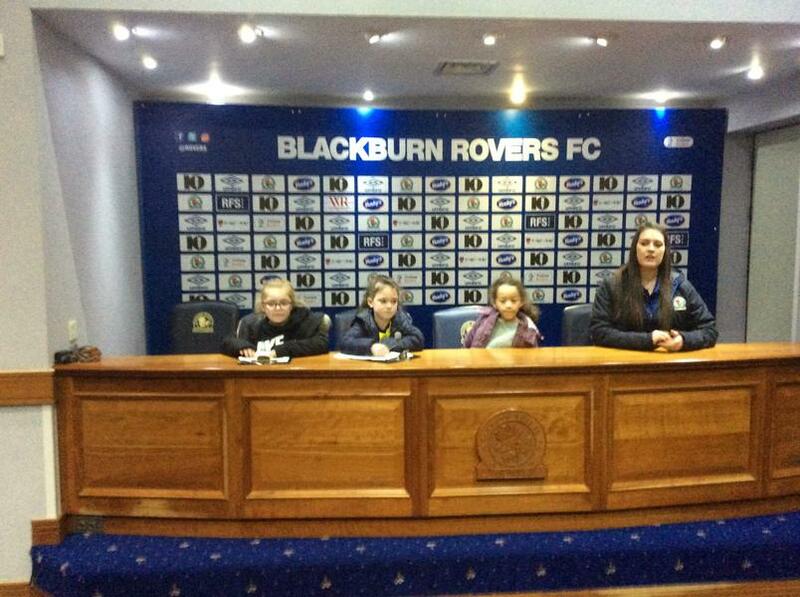 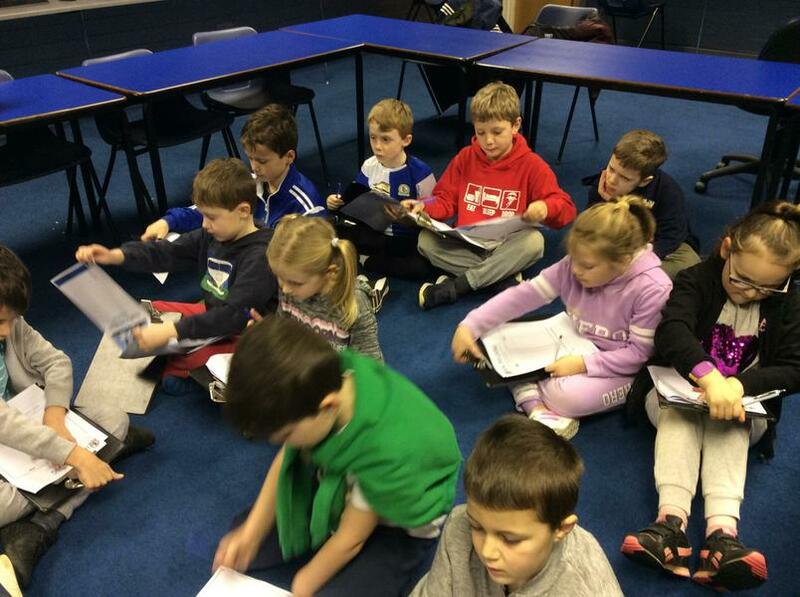 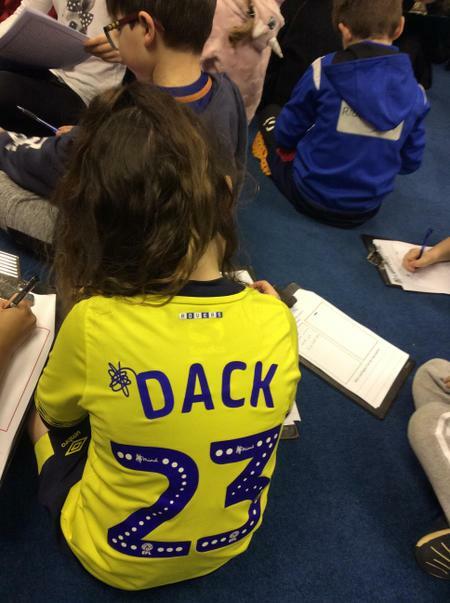 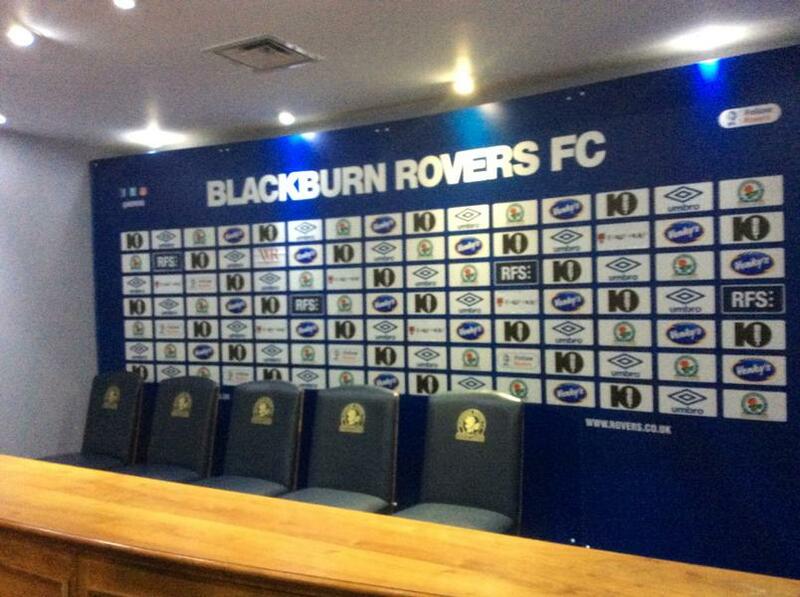 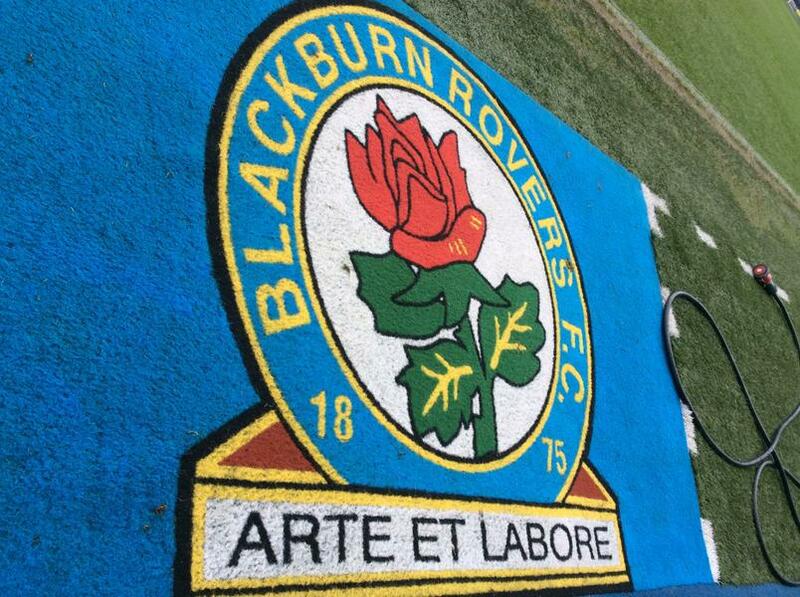 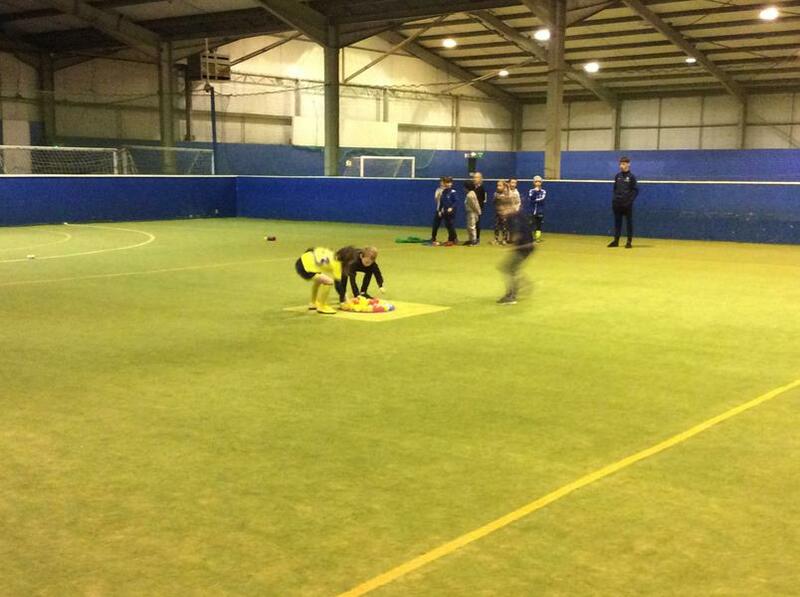 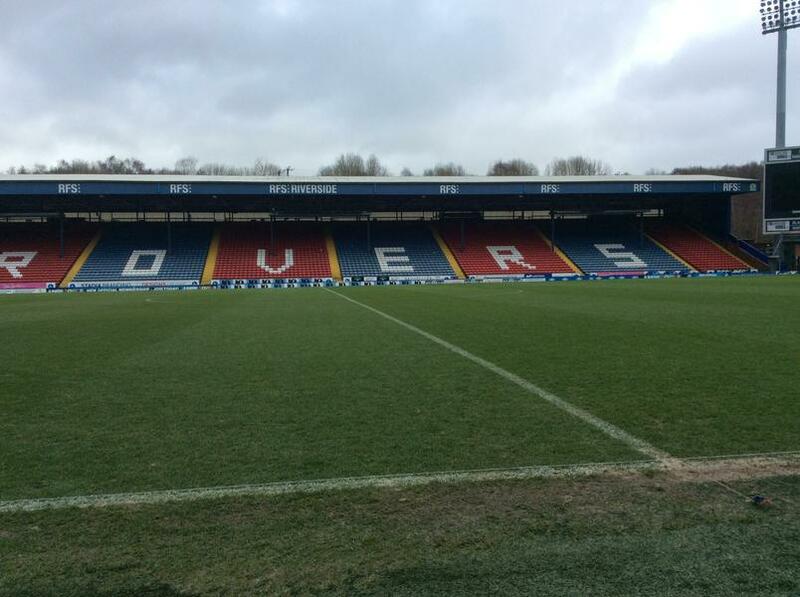 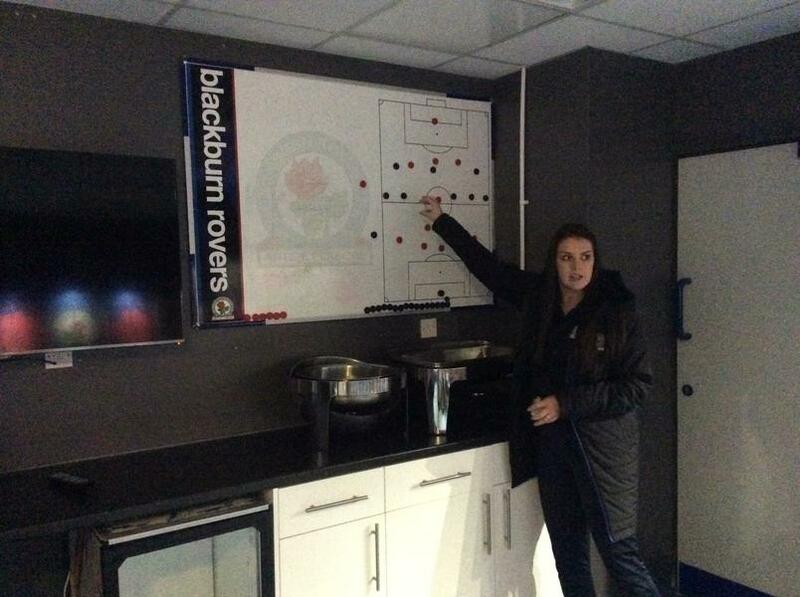 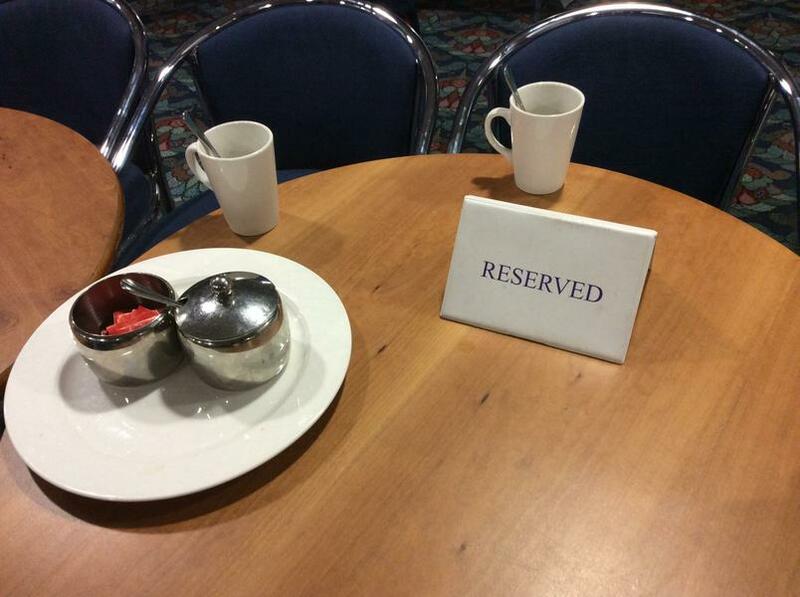 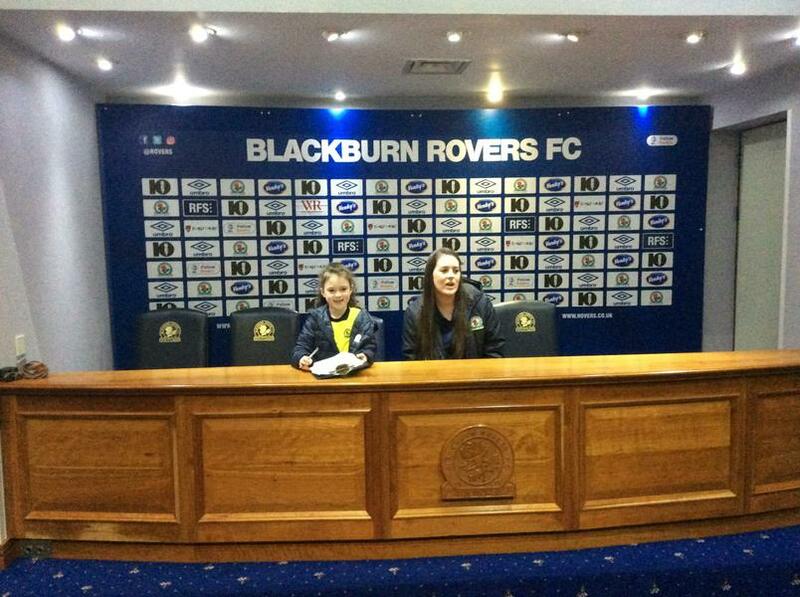 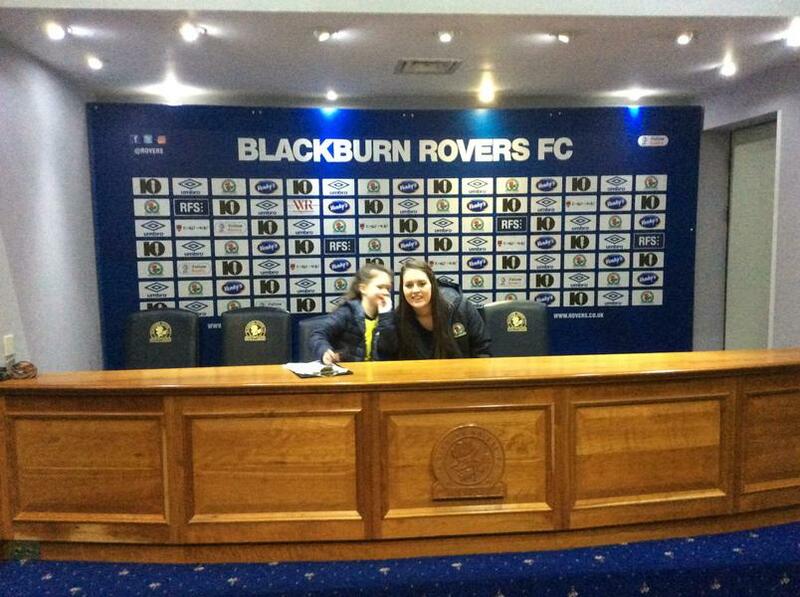 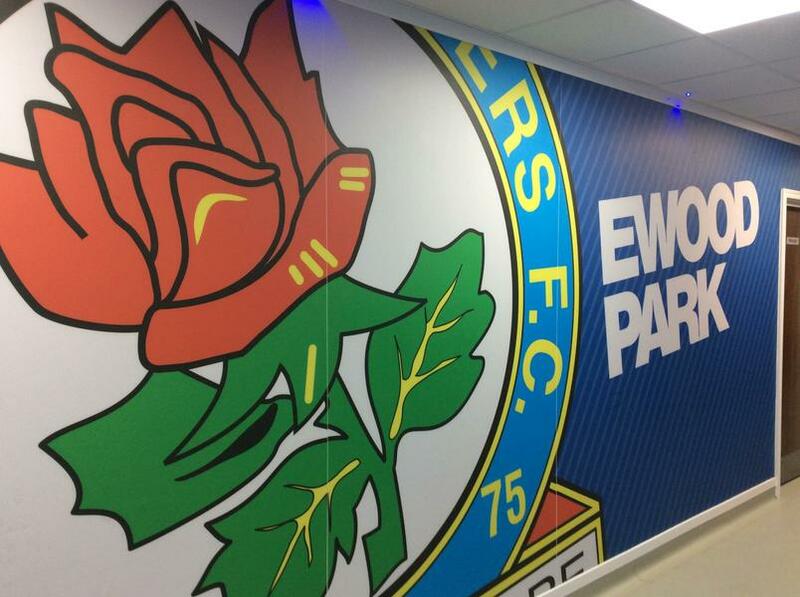 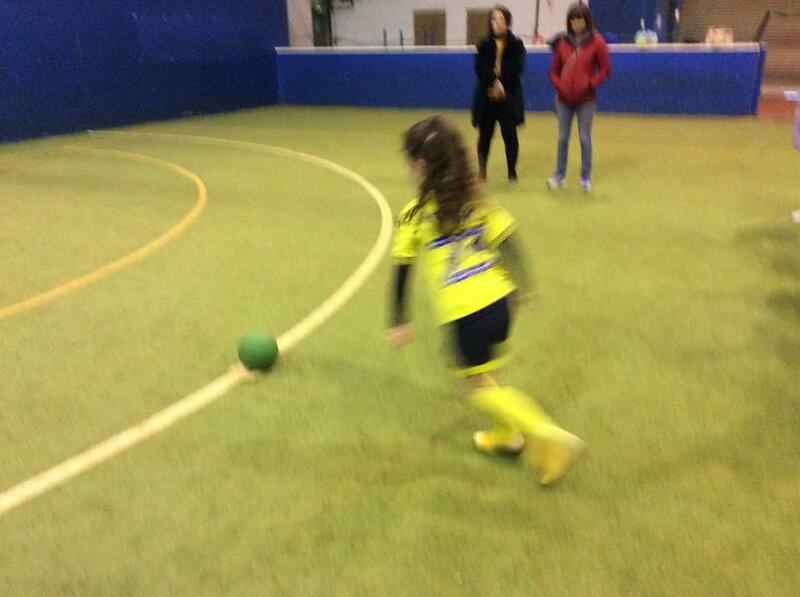 Year 3 pupils had a fabulous day at the Blackburn Rovers stadium on Thursday 7th February. 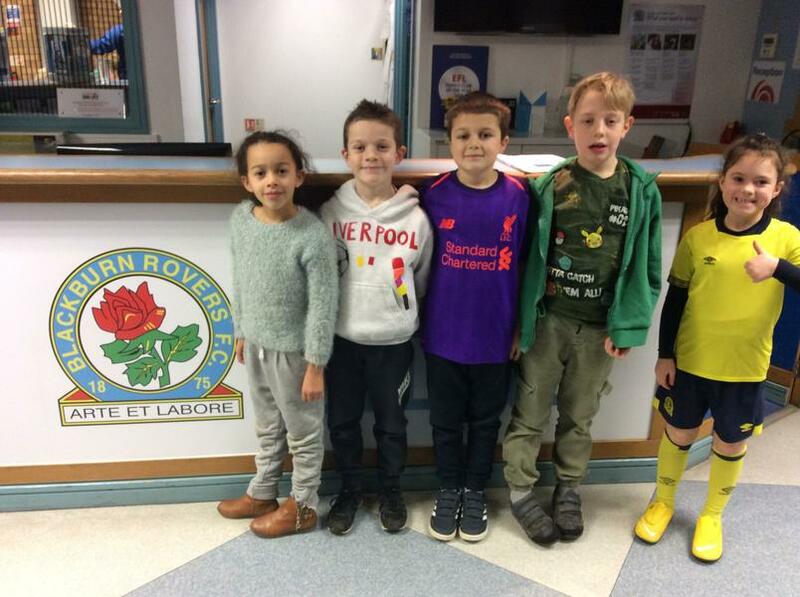 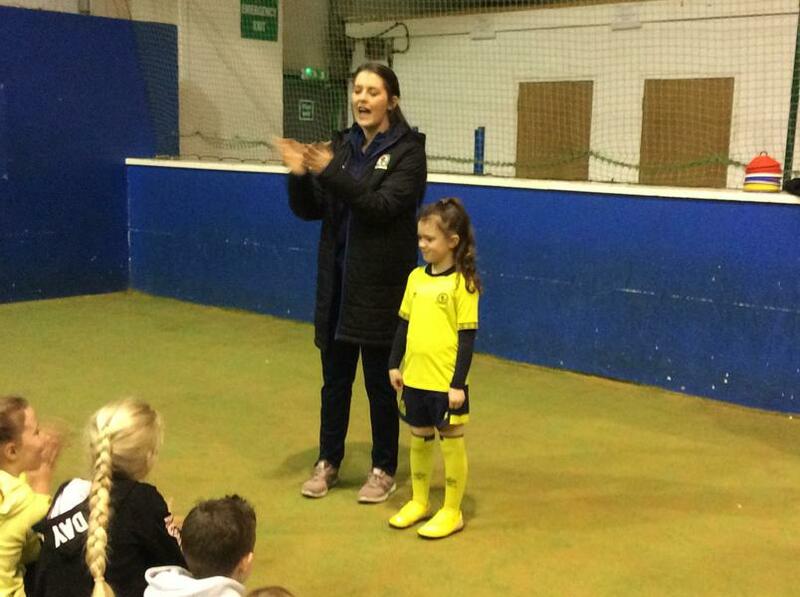 One of our lovely Year 3 pupils wrote and recited a poem in her prized Rovers kit - winning a day a the stadium for all of her classmates! 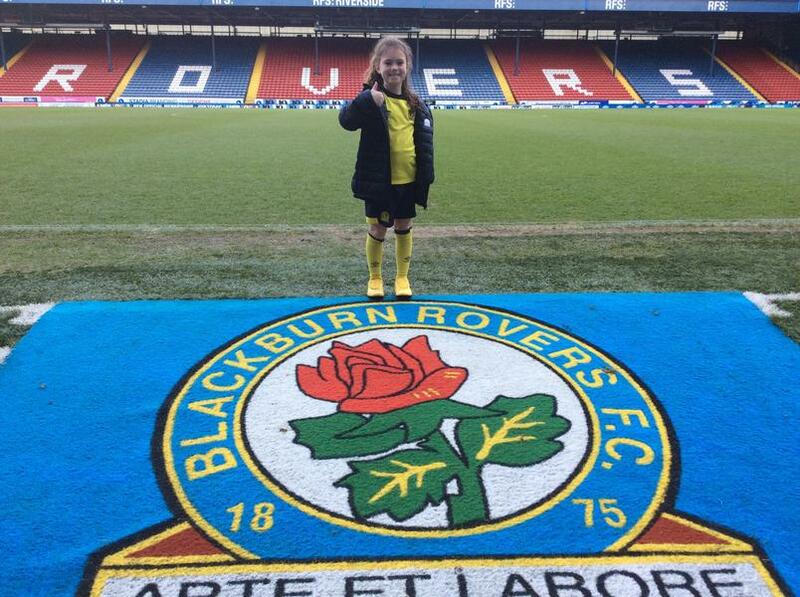 We are so very proud of her! 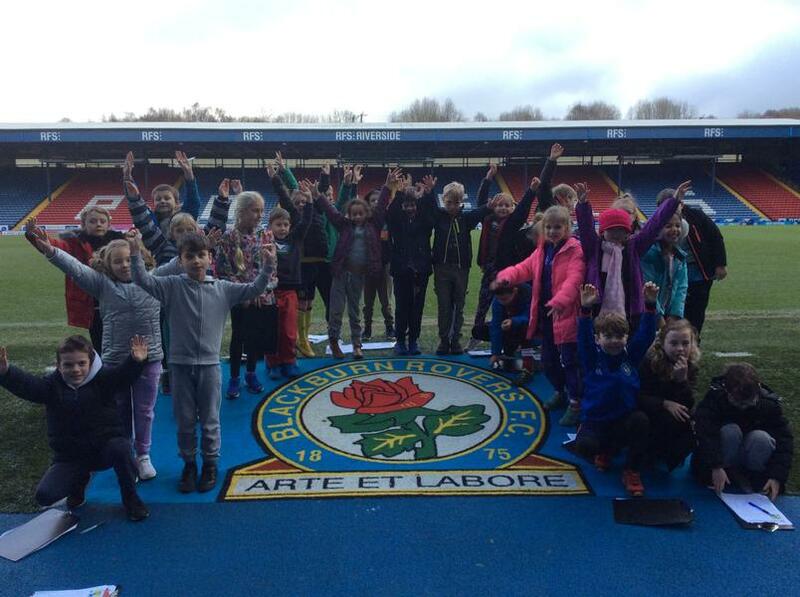 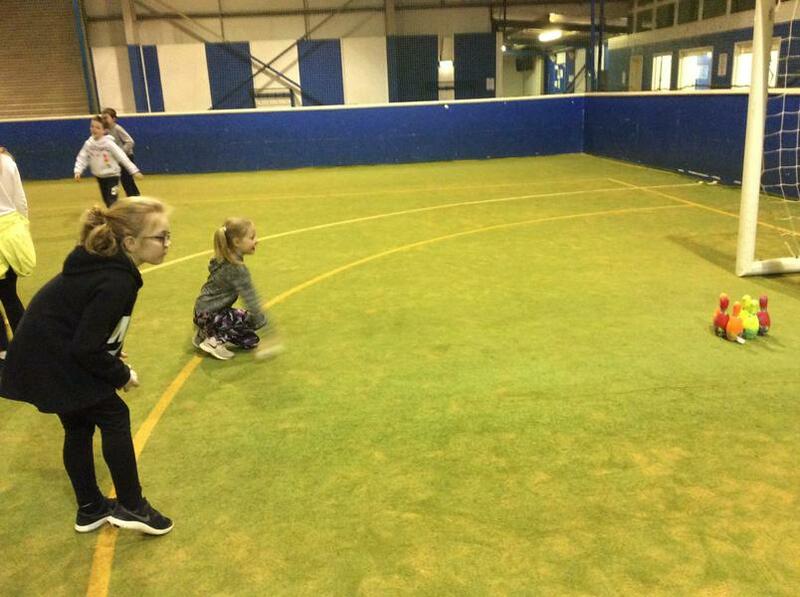 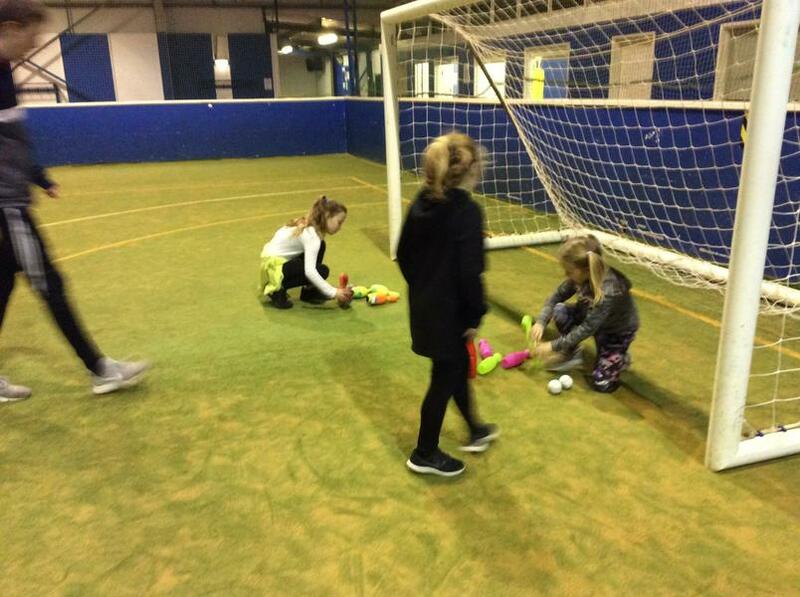 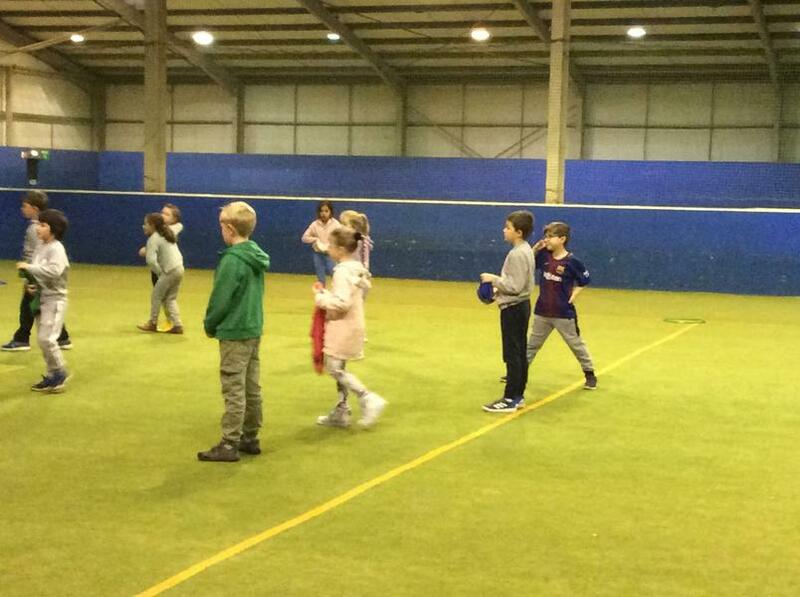 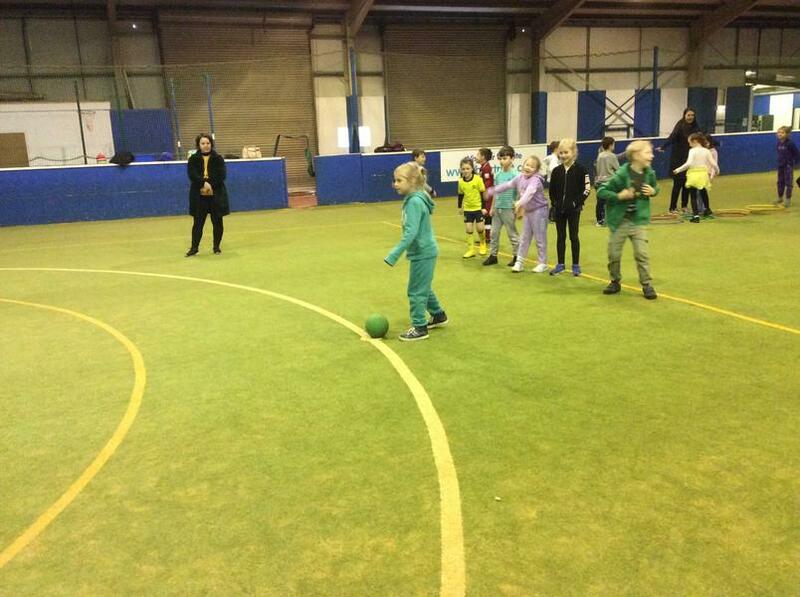 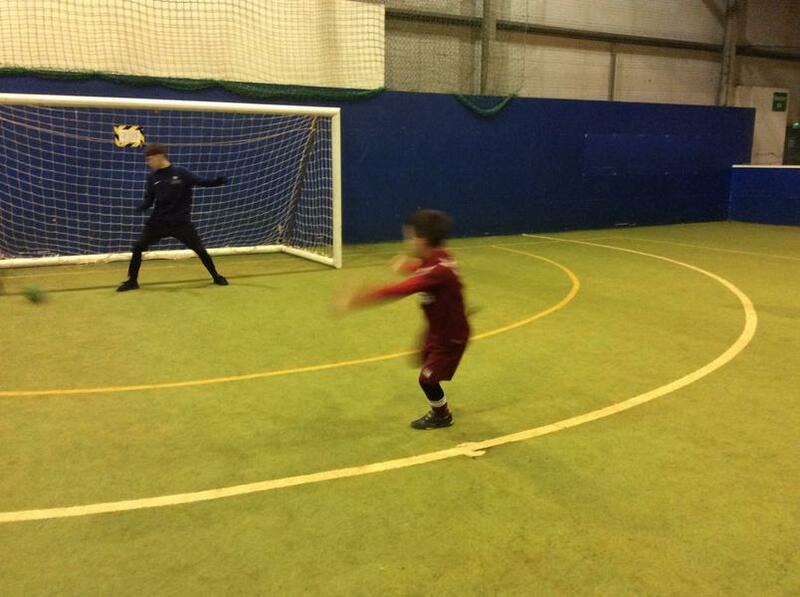 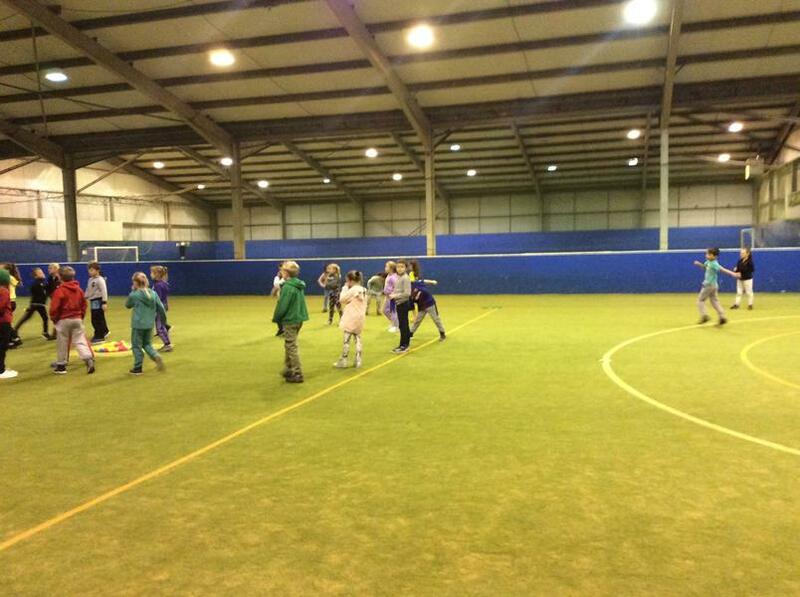 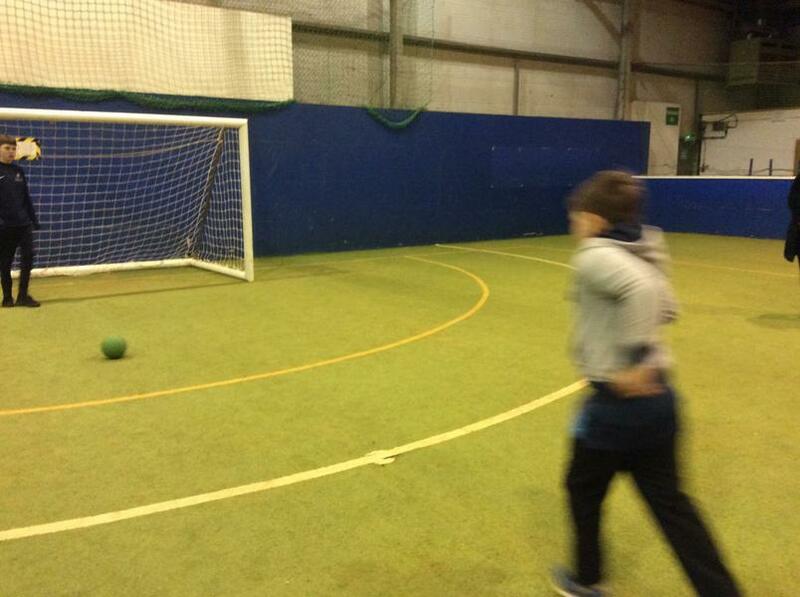 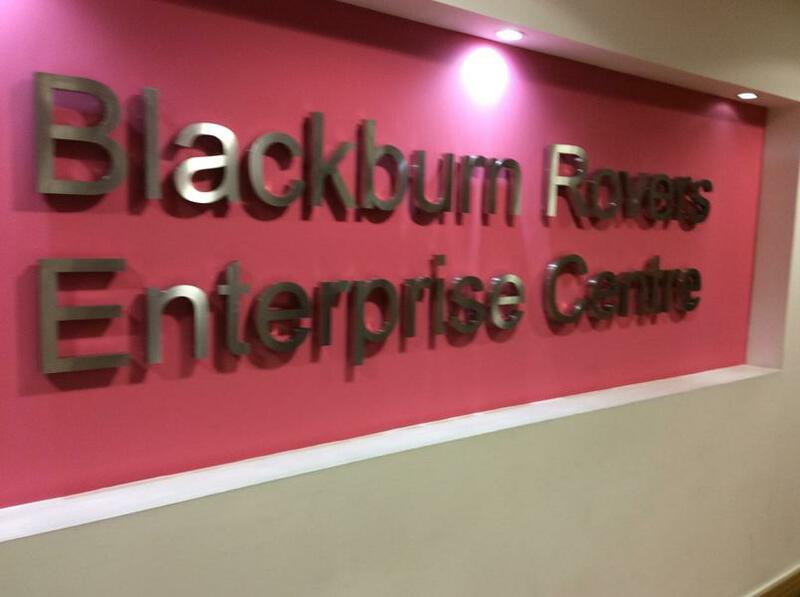 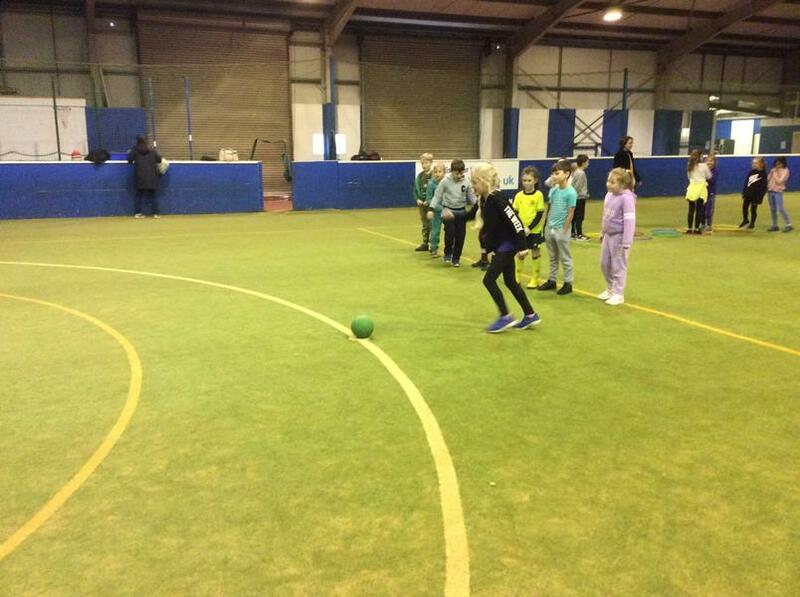 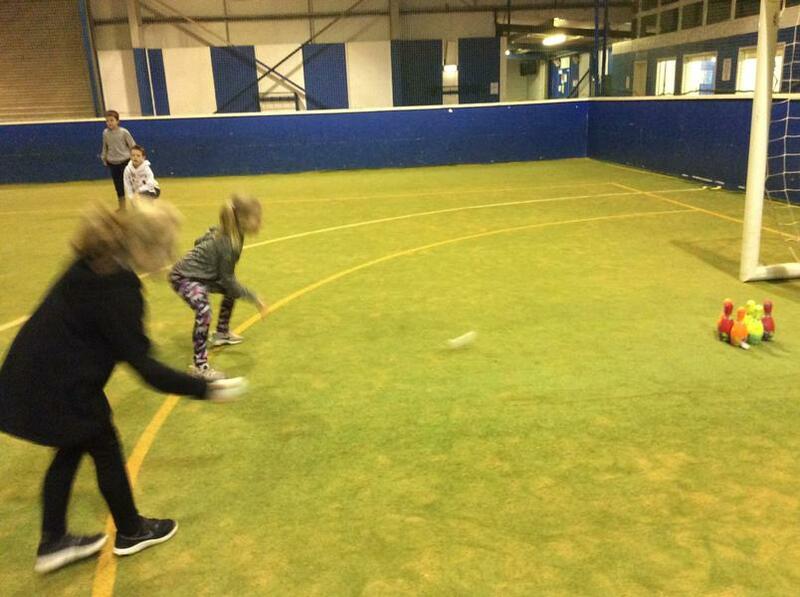 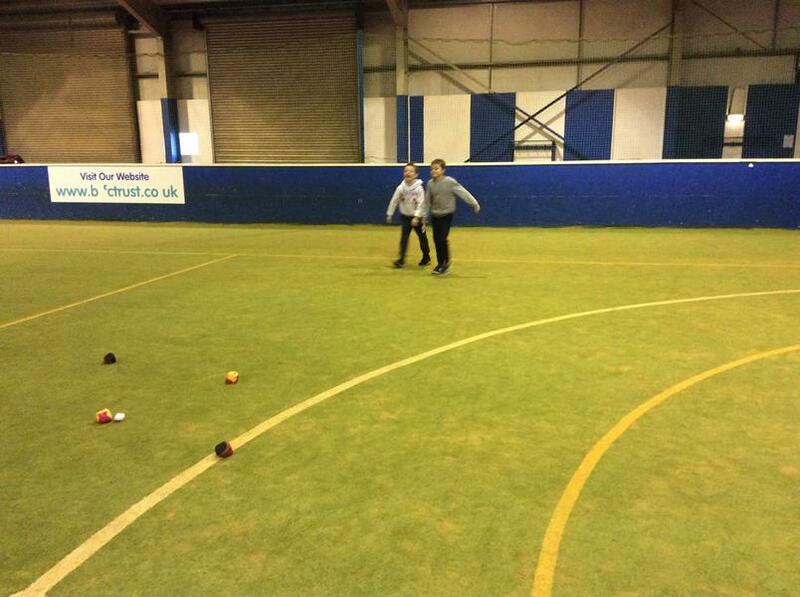 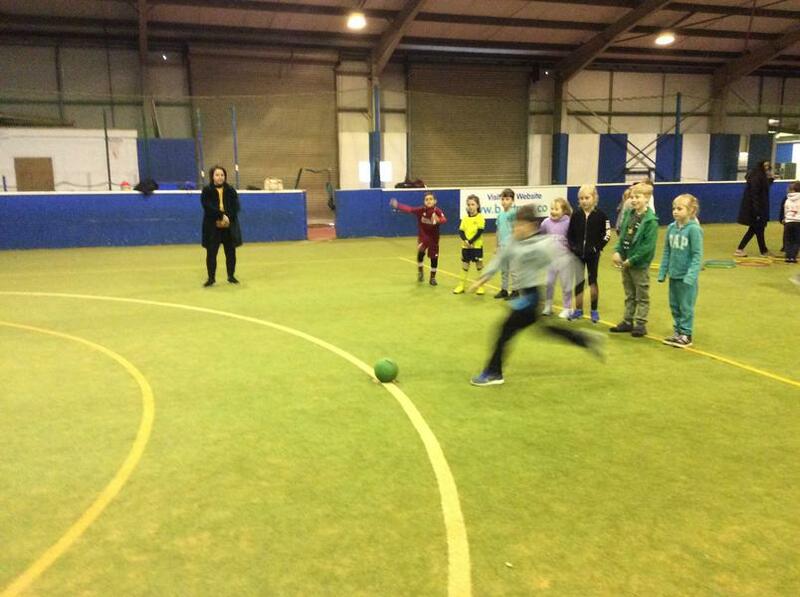 The day was impeccably organised by Blackburn Rovers Community Trust, beginning with an energetic session in their Indoor Activity Centre. 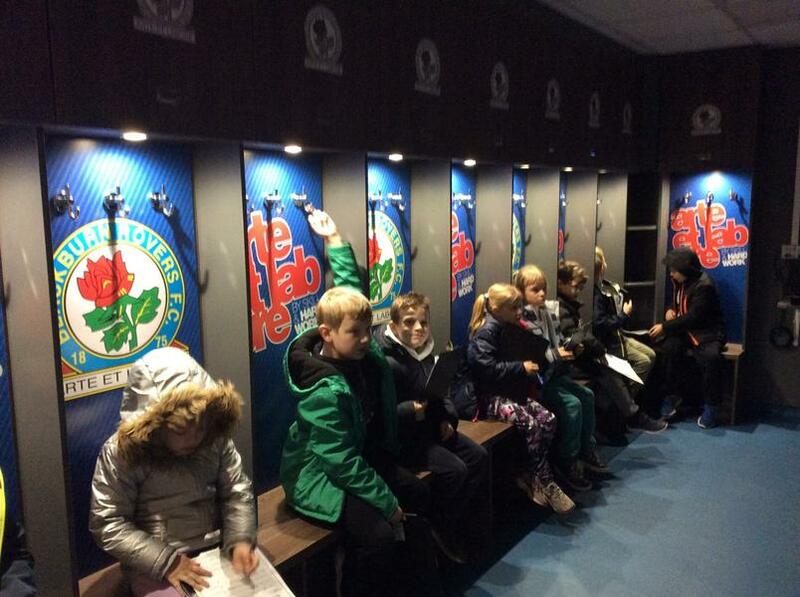 Children were taken next to the Darwen End of the stadium where they looked at how footballers, and other athletes, stay healthy. 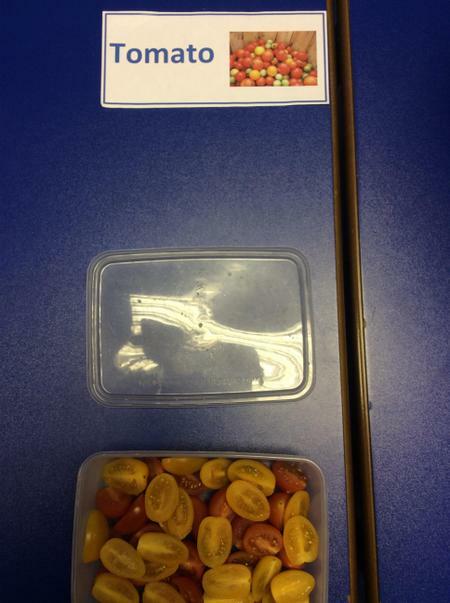 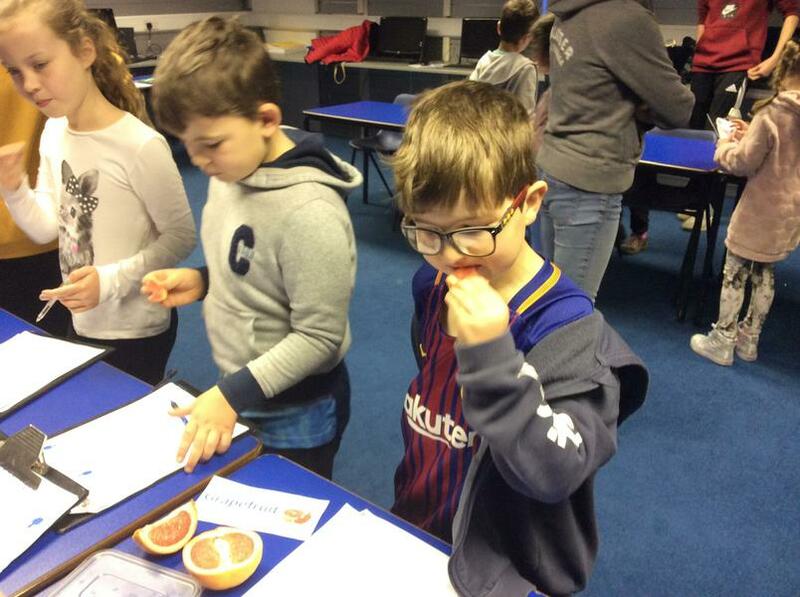 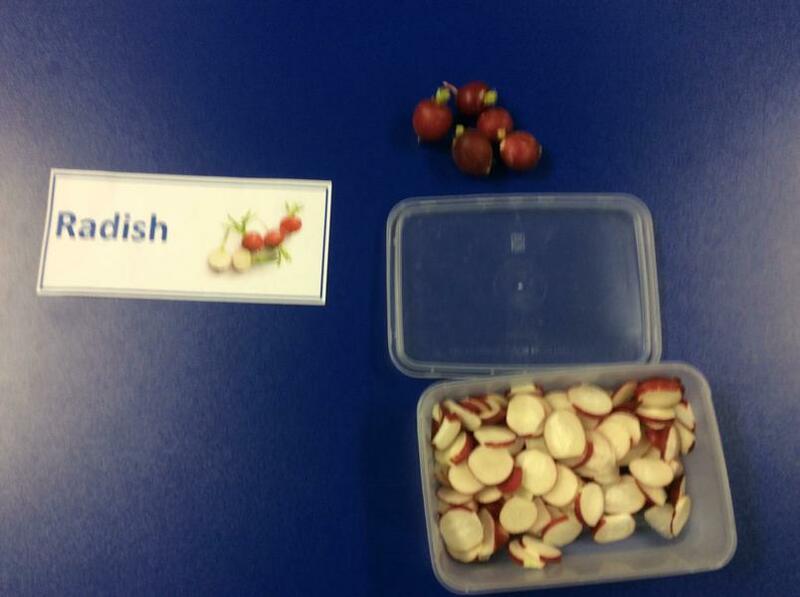 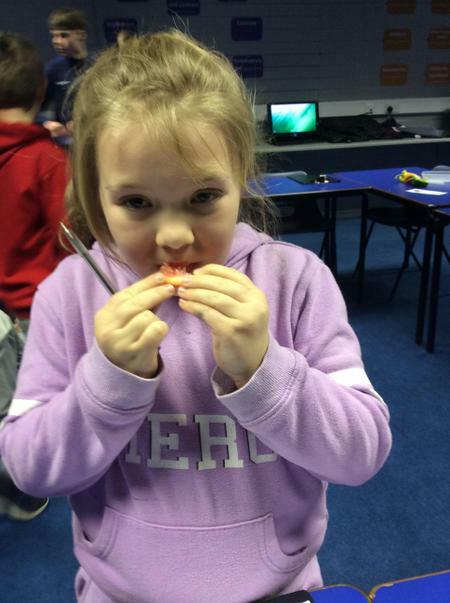 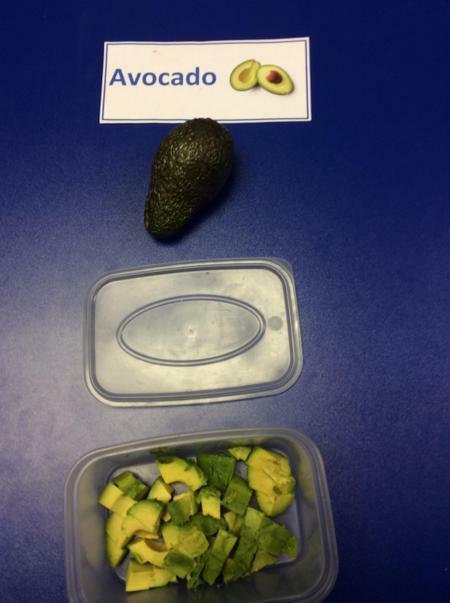 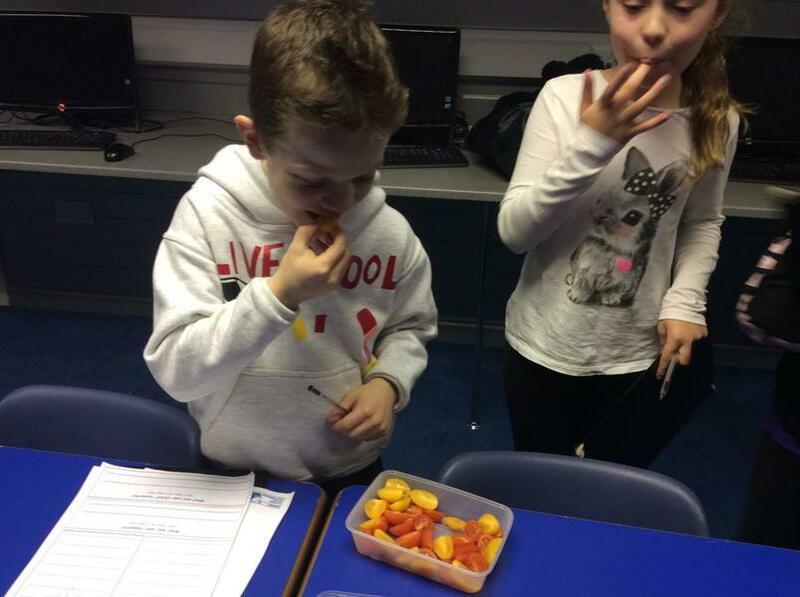 Children were invited to taste a variety of fruit and vegetables: avocado, grapefruit, lychee, mango, radishes, celery, cherry tomatoes... with a variety of interesting reactions! 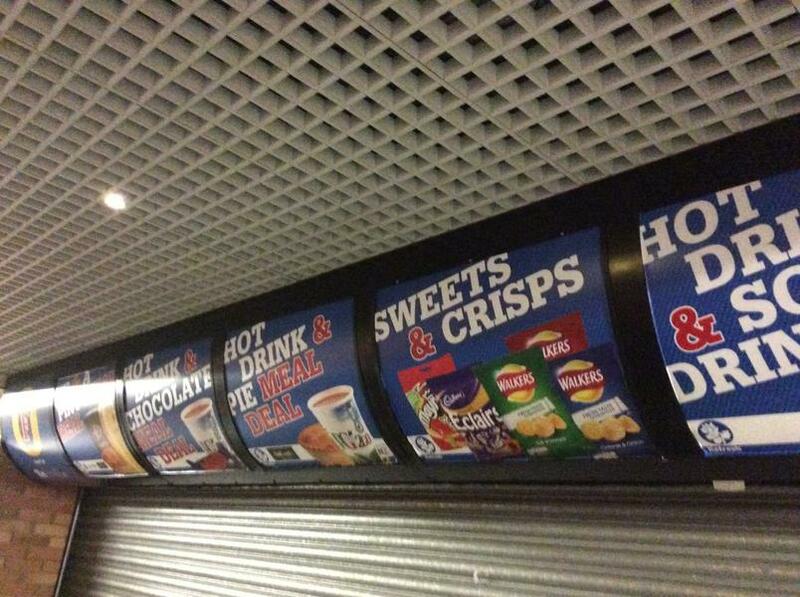 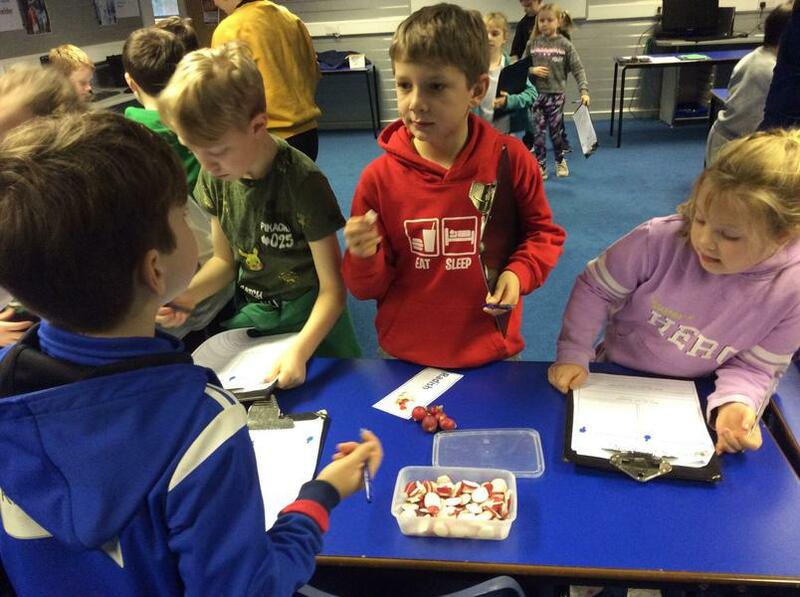 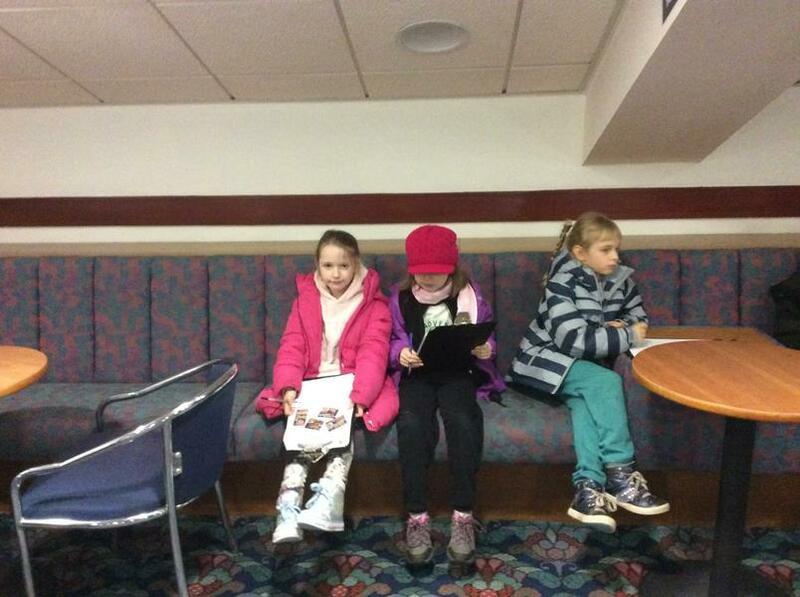 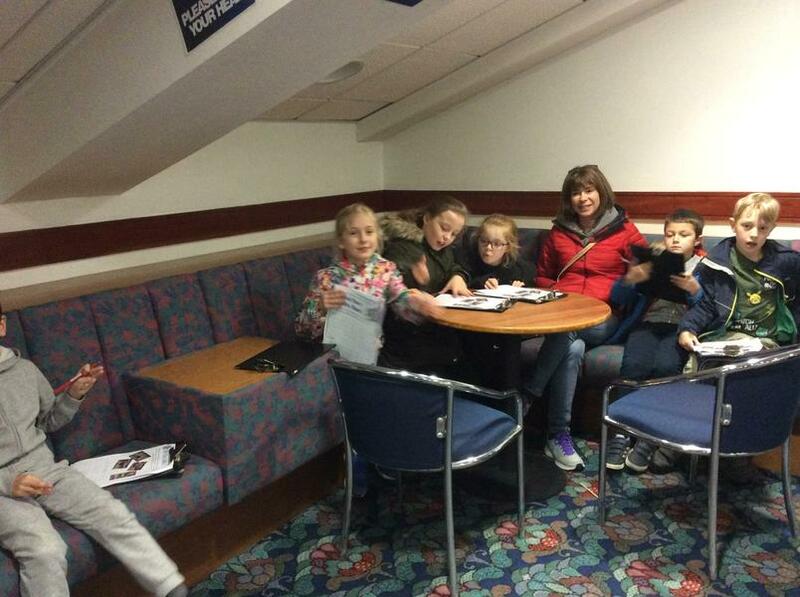 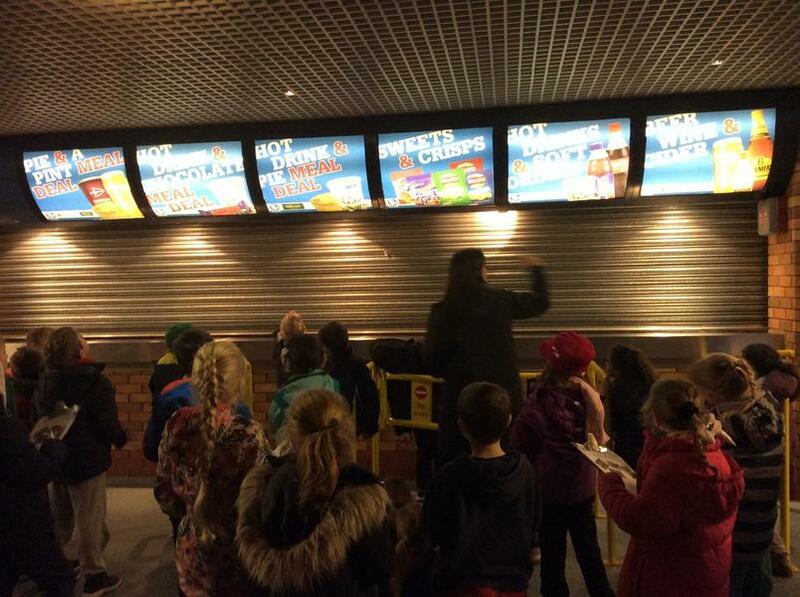 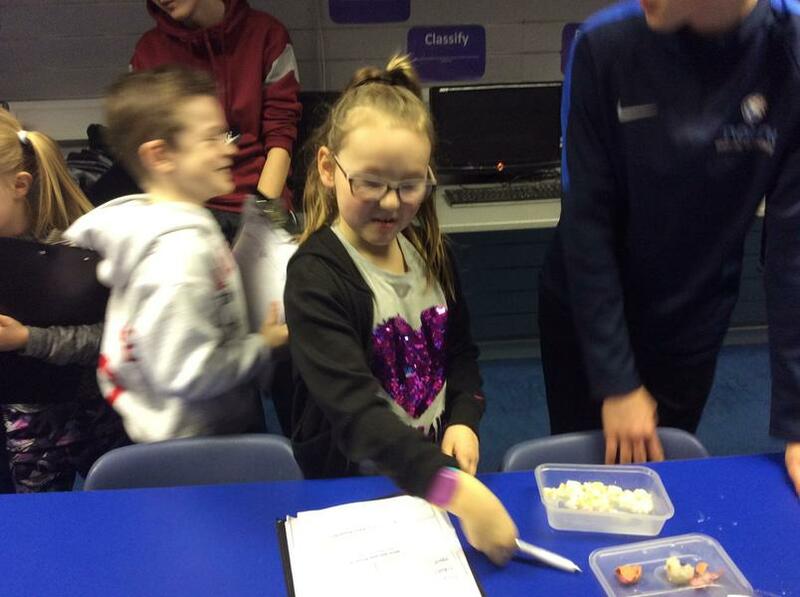 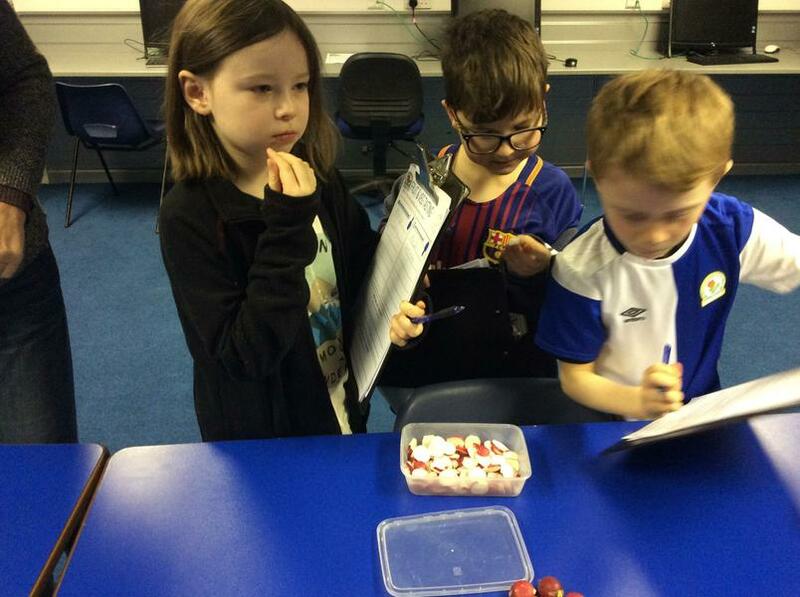 After lunch, pupils went down to the concourses, where they analysed the current meal deals on offer to fans, before moving to the Directors' Lounge to create new, healthier options. 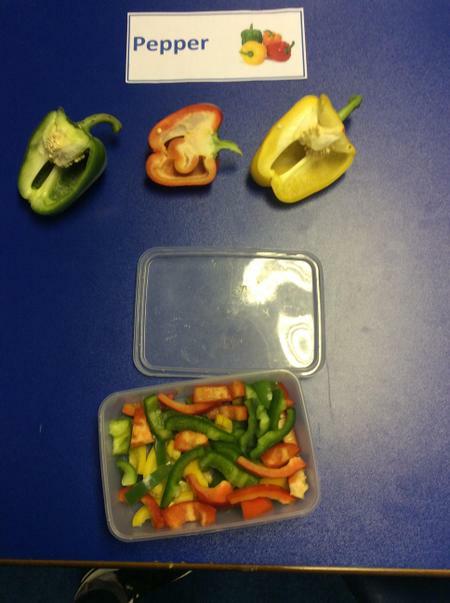 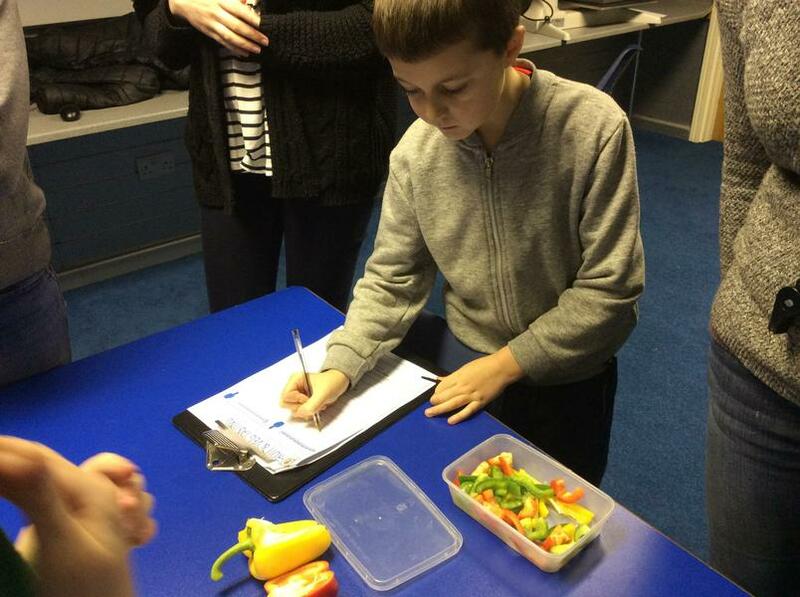 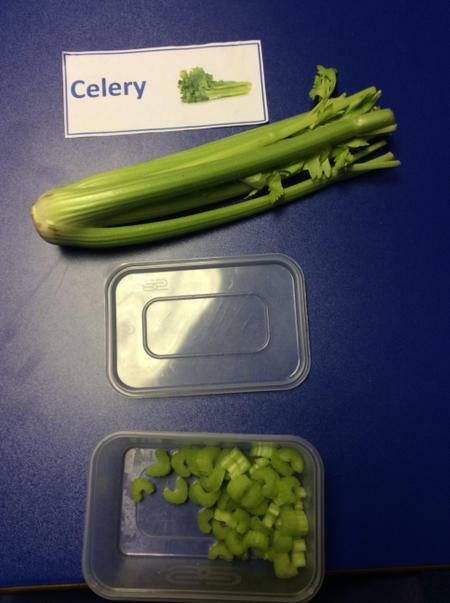 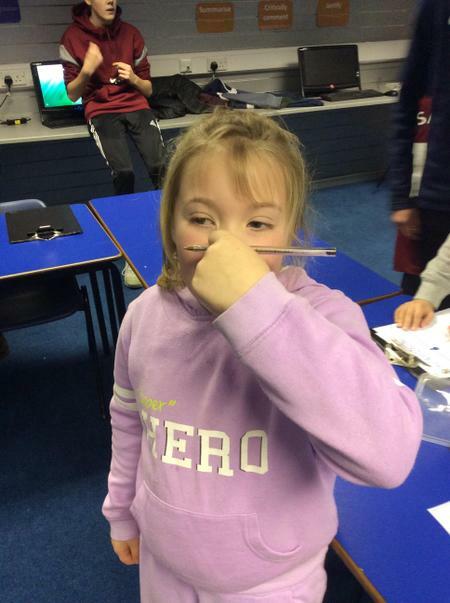 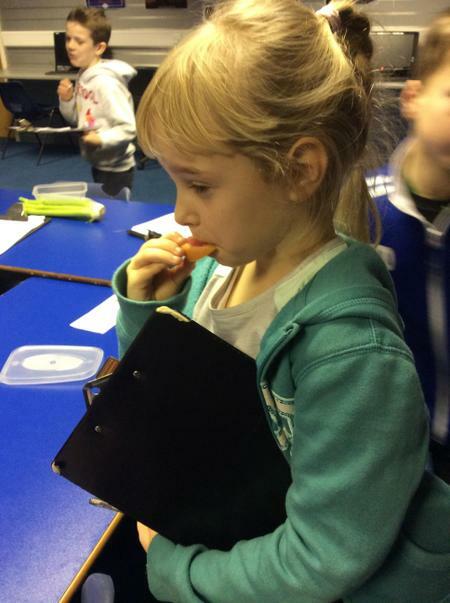 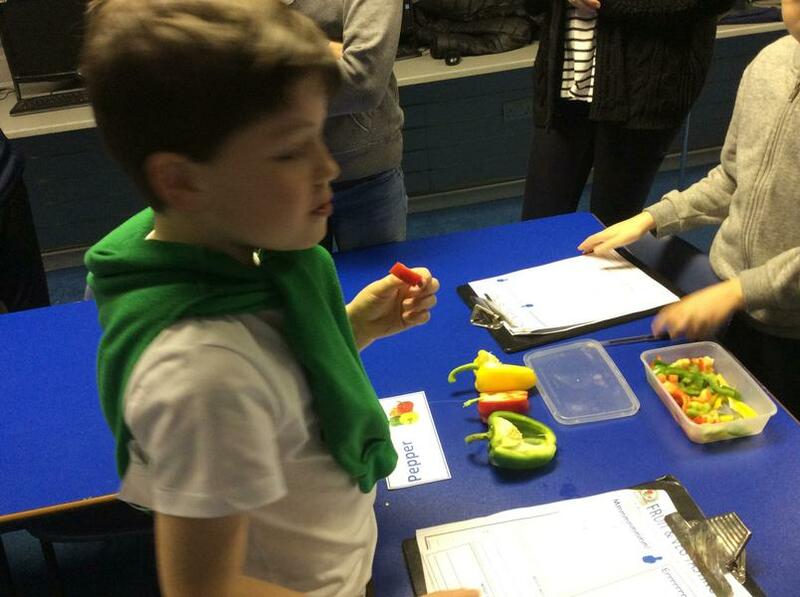 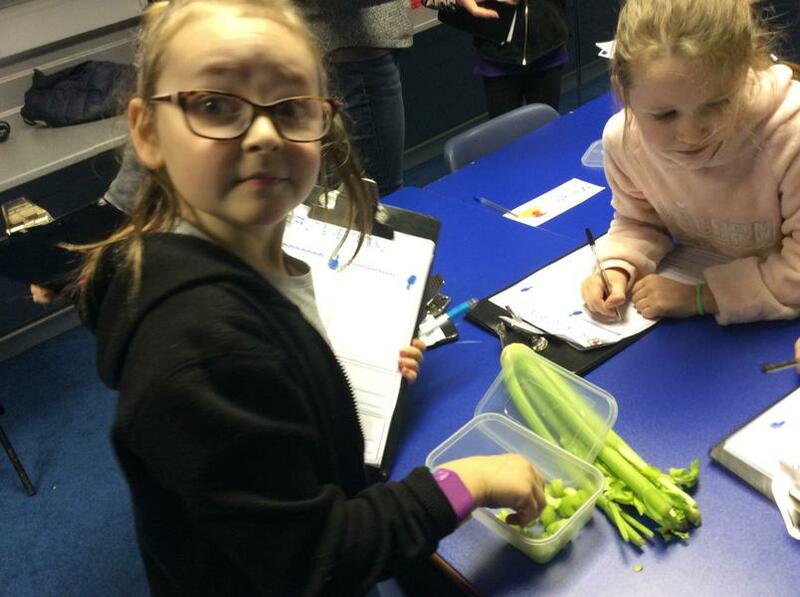 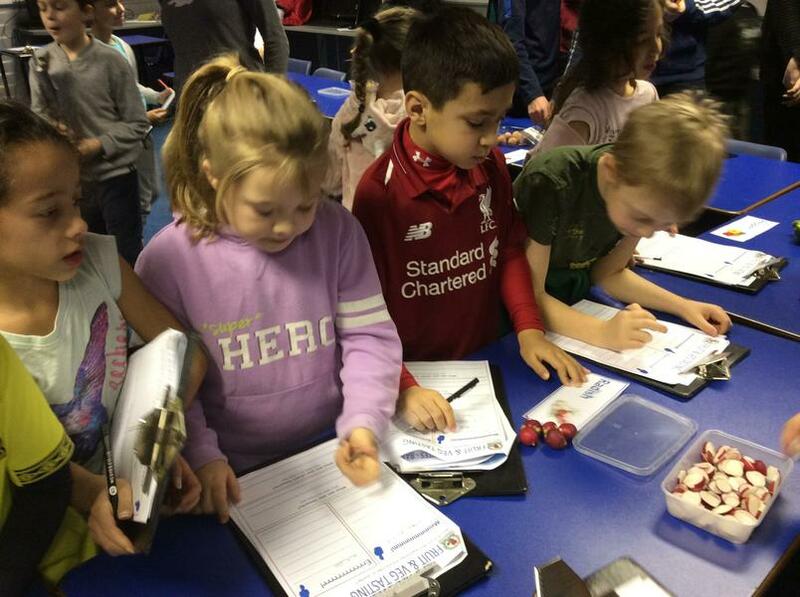 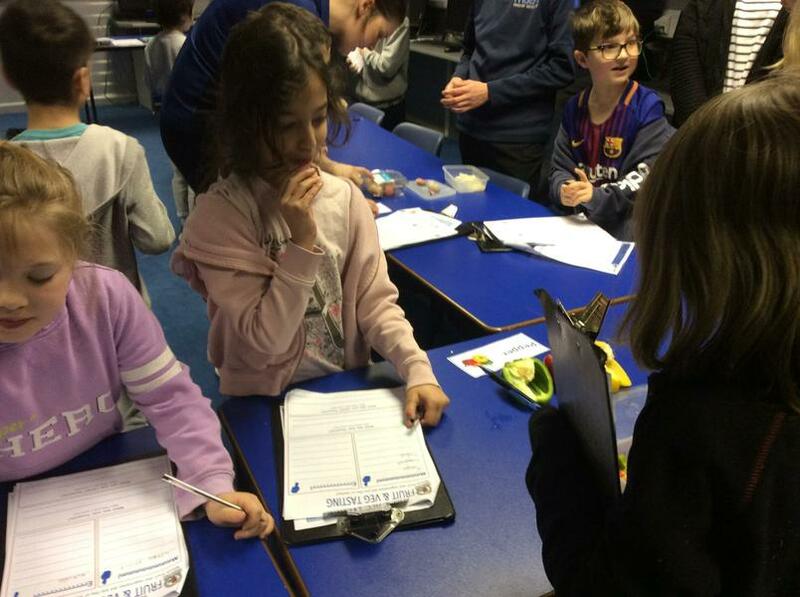 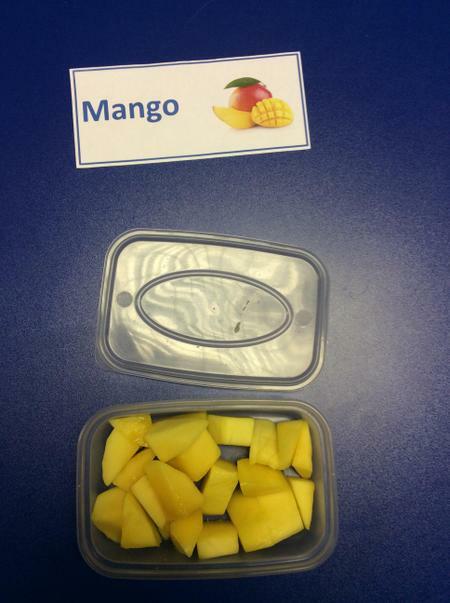 Children drew on their knowledge gained from their Healthy Living science lessons at school as well the tasting session to come up with innovative, appetising and healthy menu ideas. 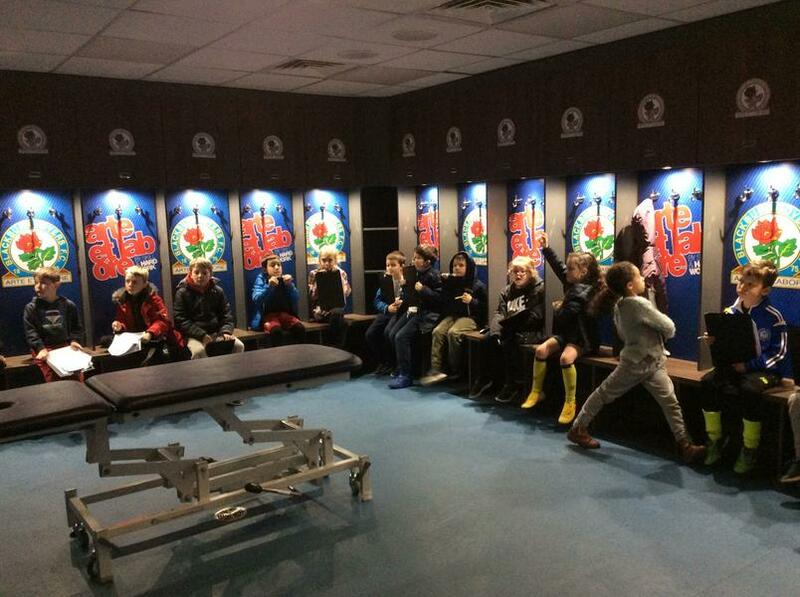 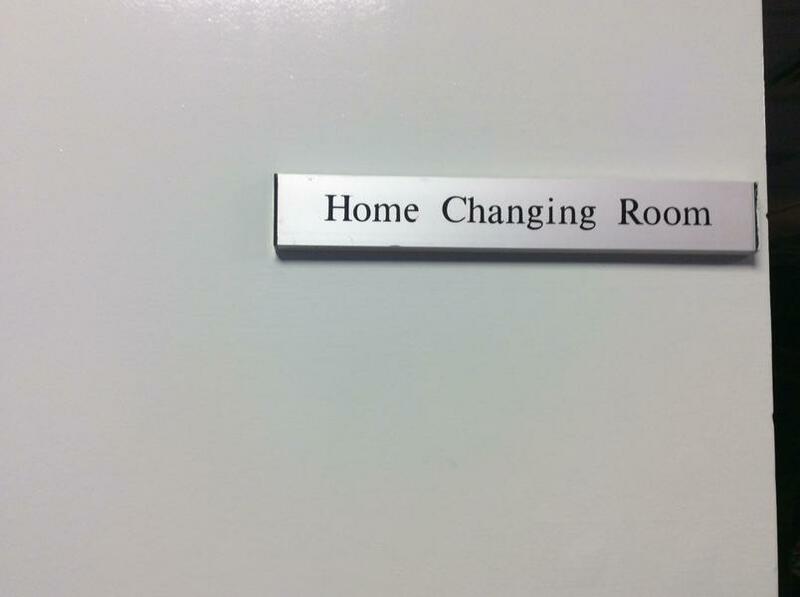 With the action-packed day soon to draw to a close, the Home Team Changing Room was our next stop: a fantastically relaxing area where team members can prepare mentally for the match ahead. 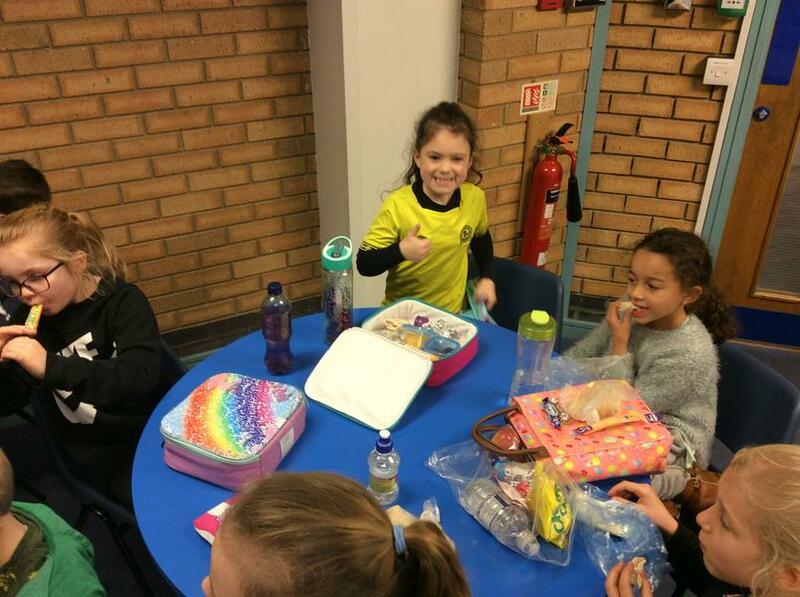 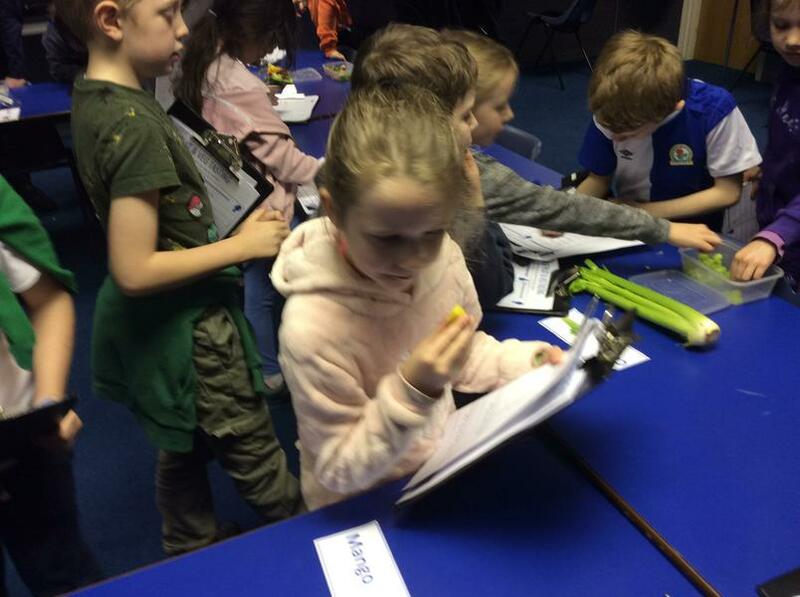 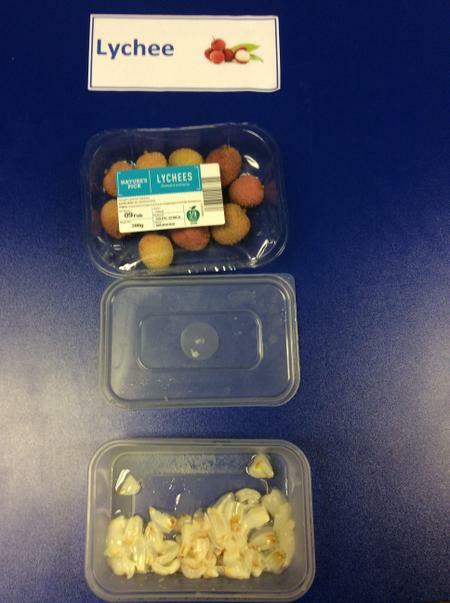 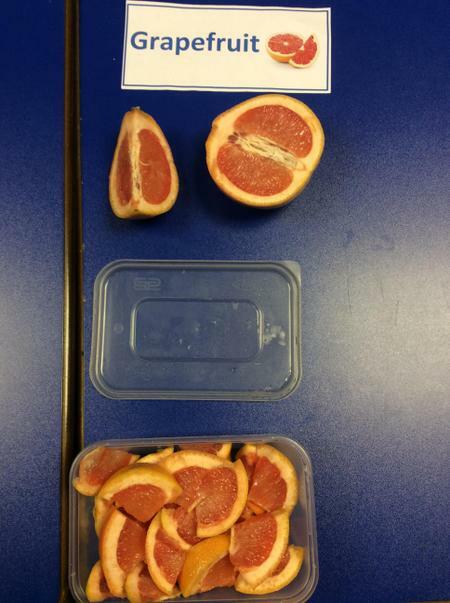 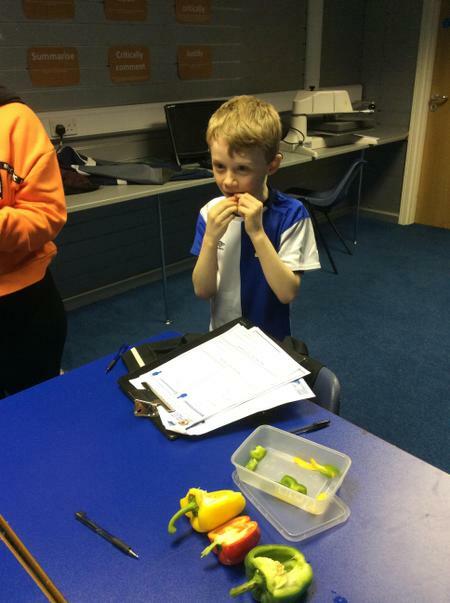 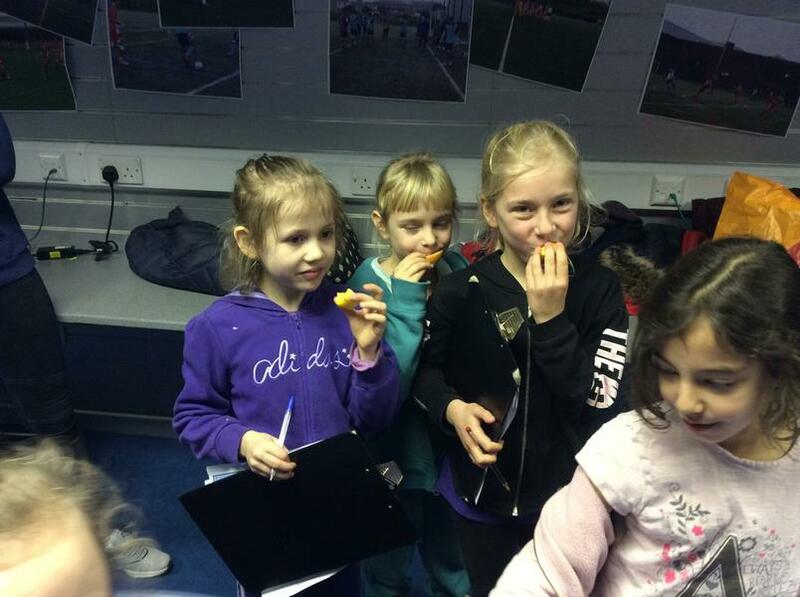 Here, Year 3 girls and boys completed the Mulgrew's Meal challenge, where they came up with suitably healthy menu ideas were the current captain, Charlie Mulgrew, to come for dinner at their house! 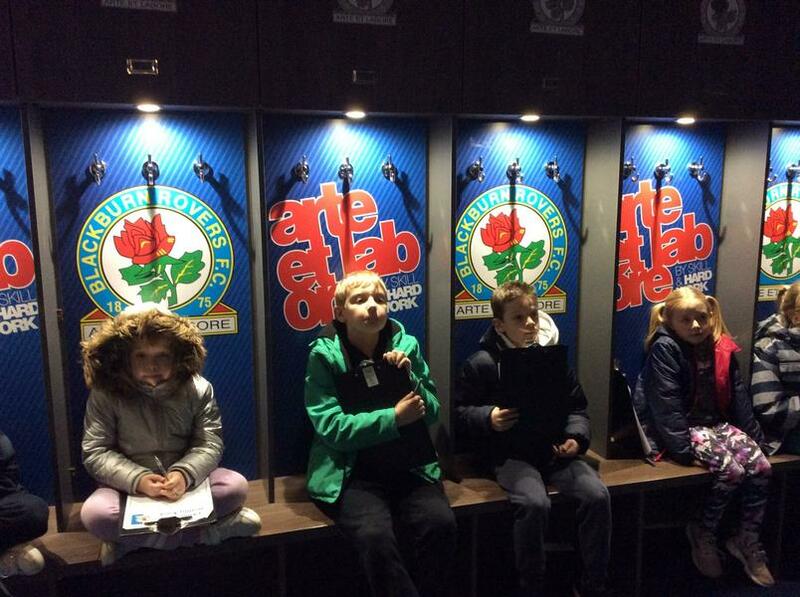 The visit came to a close with photo opportunities in the dugout and next to the iconic pitch, before taking a look at the remarkable replica of the Premier League Cup and visiting the Media Suite where journalists quiz managers and players. 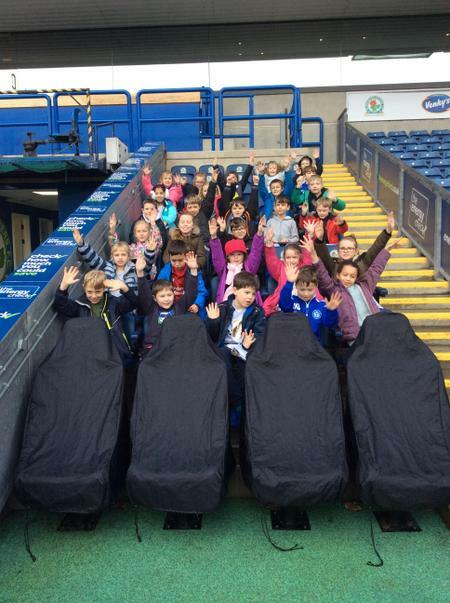 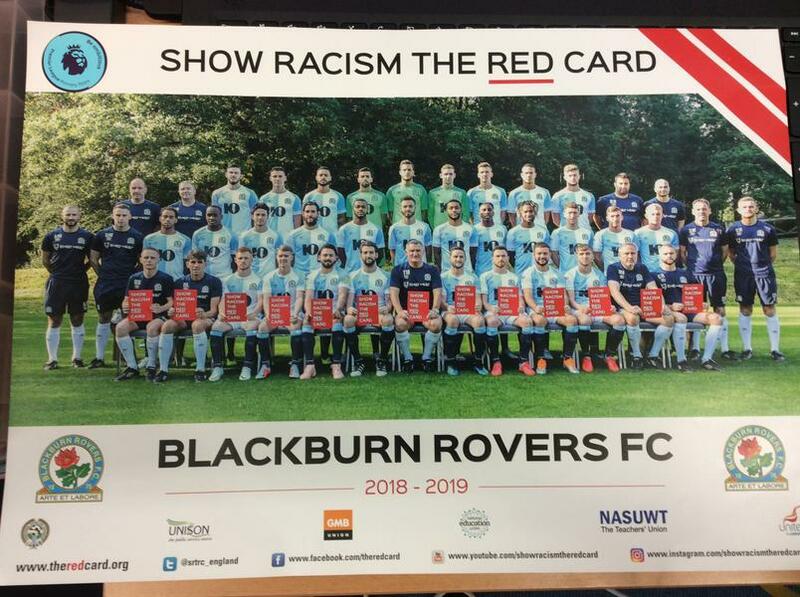 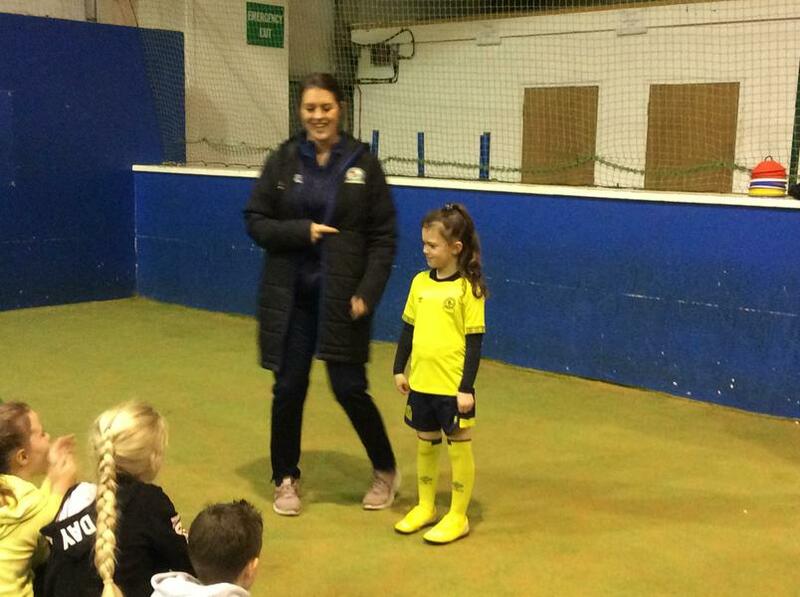 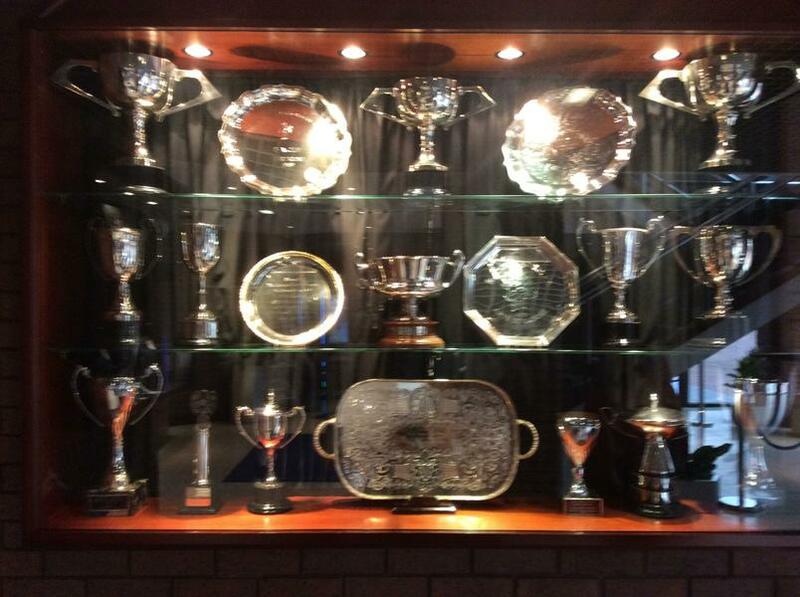 A huge vote of thanks to Amy Taylor of the Blackburn Rovers Community Trust for her wonderful organisation and welcome; we had a fantastic time (as can be seen in the photos below)!